Deal Jumbo is offering, for a limited time, a Best Sellers Mega Bundle of 1,589 individual retro/vintage design elements, templates, effects and custom fonts at 92% off the regular price of $460. 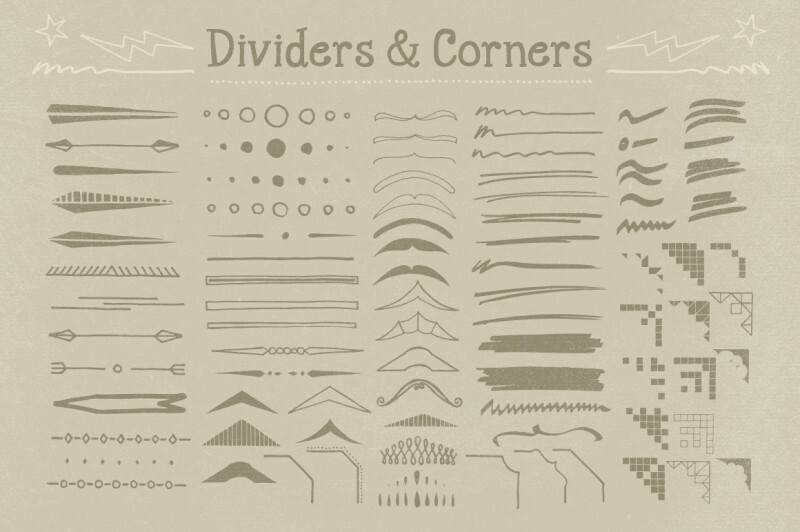 This is a collection of high quality design resources from the CreativeMarket.com bestsellers and other premium designers. 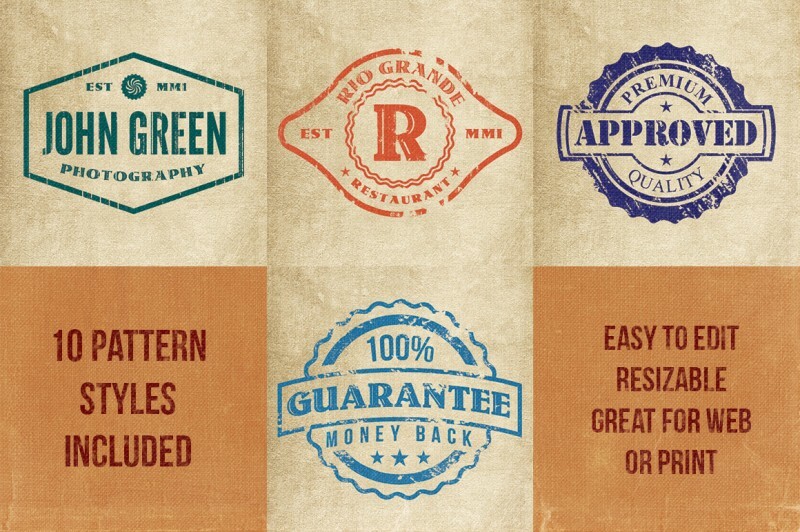 Deal Jumbo is a hot new resource for all things design, regularly serving up discounts and freebies on assets for graphic designers, photographers and artists. 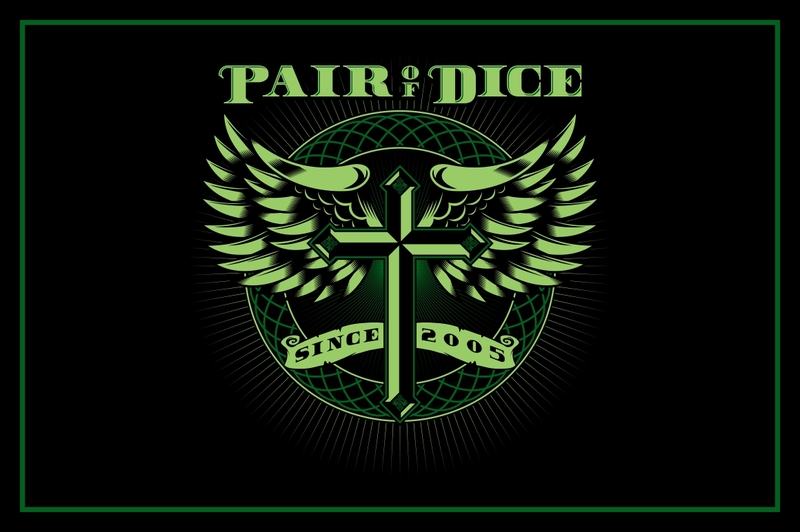 This deal is their biggest to date. 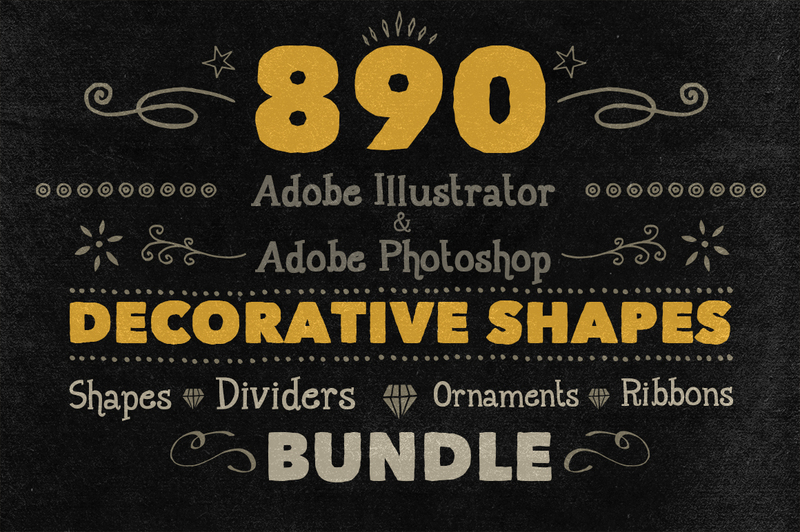 This bundle is a great addition to any freelancer’s or design agency’s toolkit, perfect for adding some weight to your available work resources. 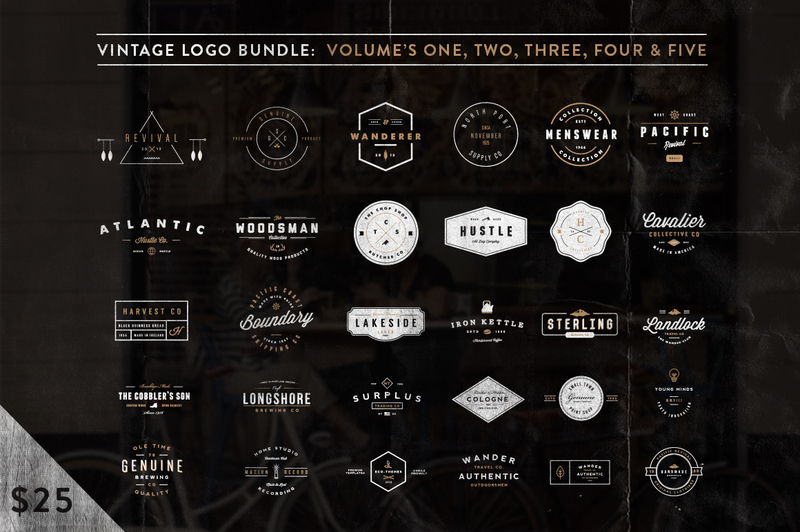 To get a taste of what they’re offering in this bundle, Deal Jumbo has generously offered a FREE sample download. Check it out here. 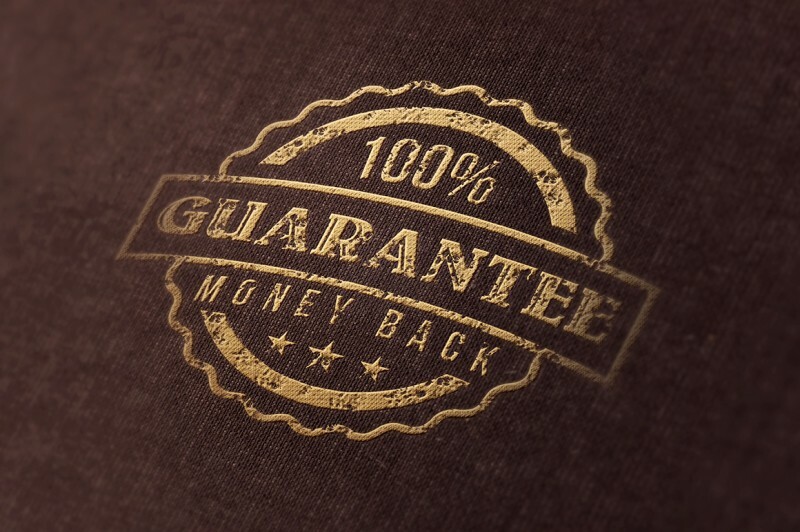 What’s in this Sweet Deal? 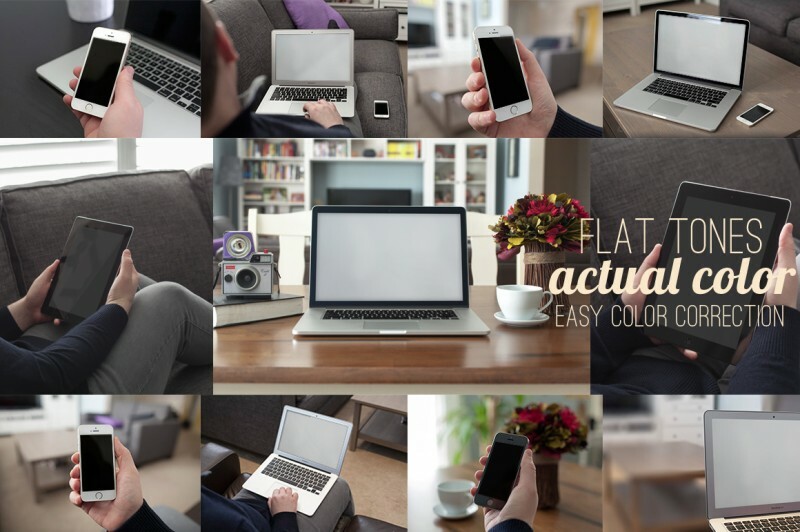 Click here to purchase this huge deal. Here’s a complete overview of all the elements you’ll receive in this bundle. 1A. 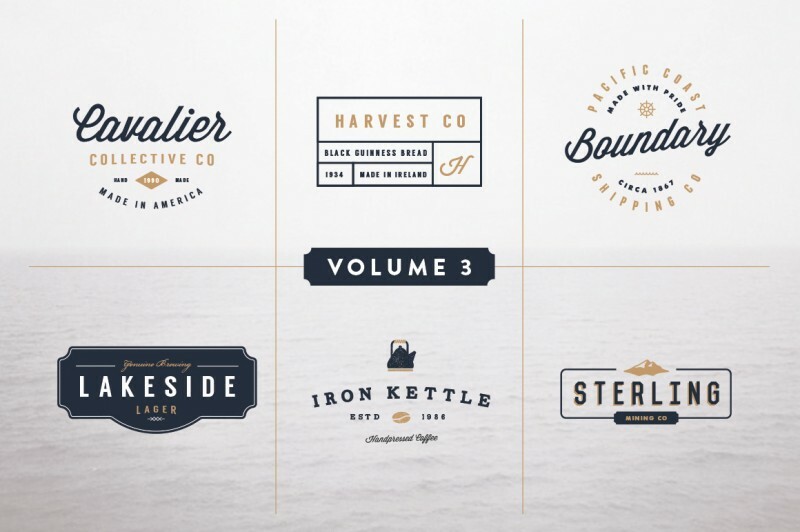 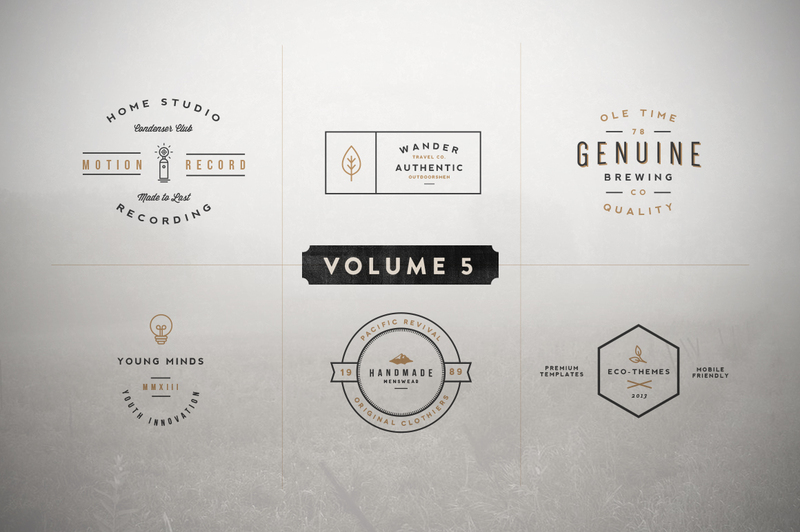 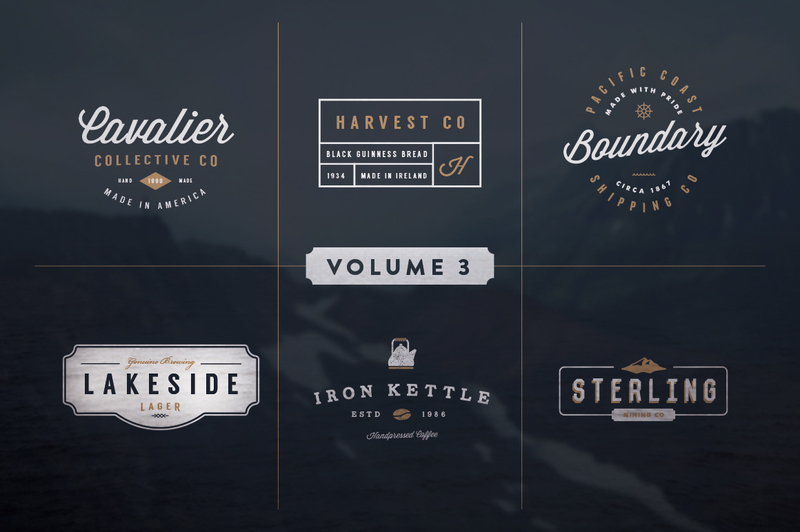 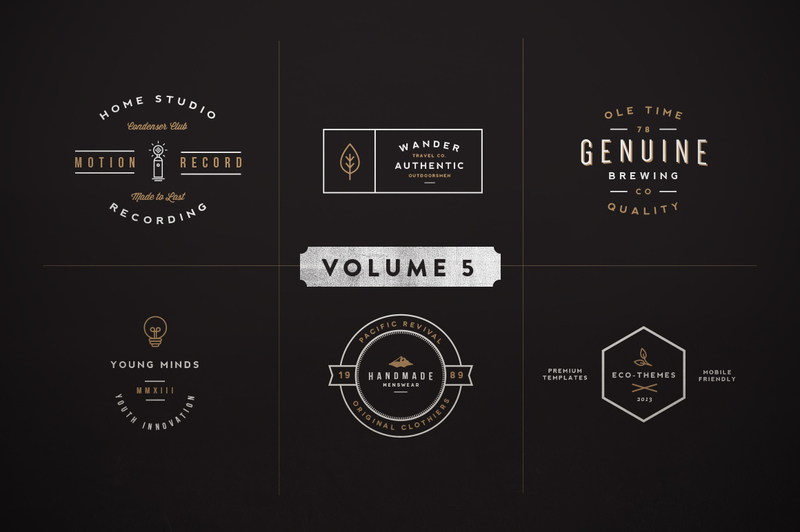 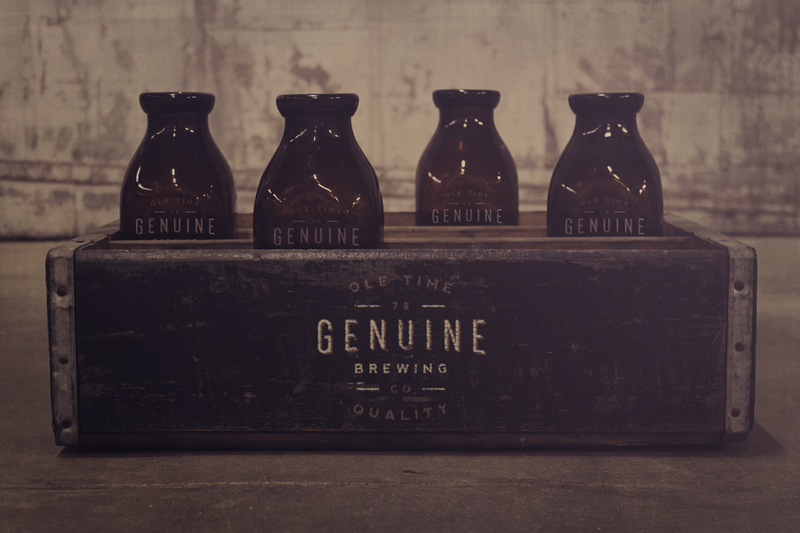 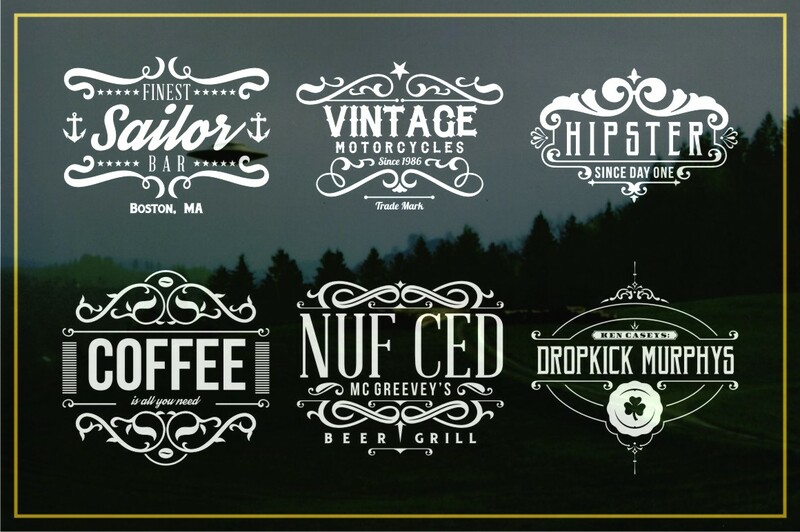 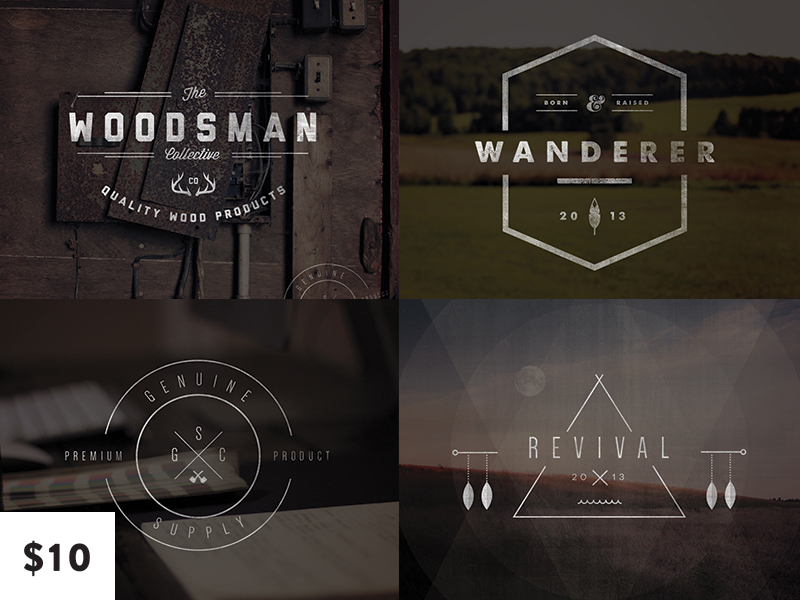 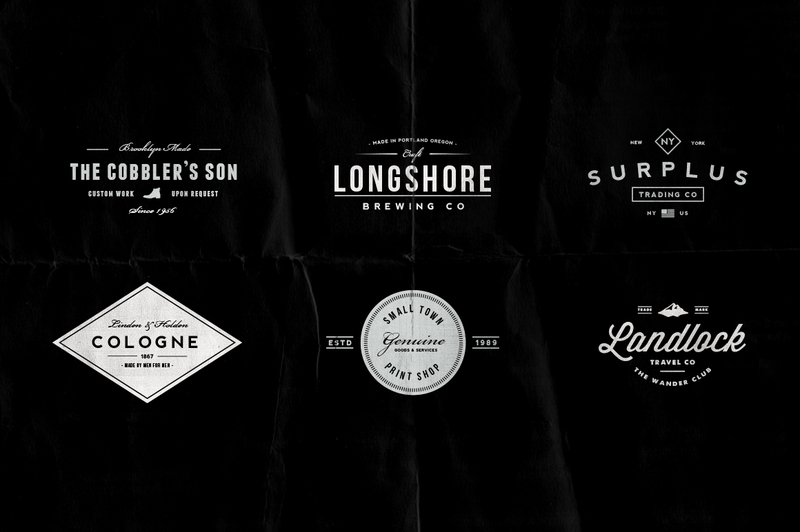 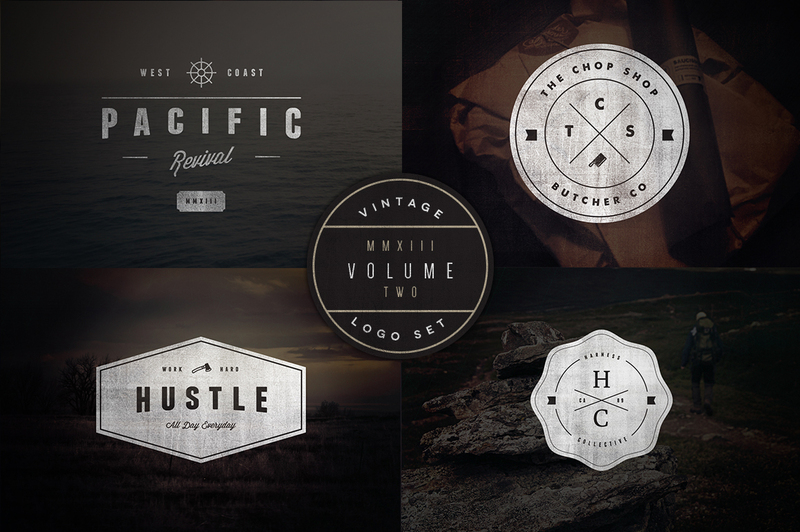 Vintage Bundle – 5 Vintage Logo Kits by Hustle Supply Co.
30 Vector Logos made in Adobe Illustrator with Editable Text. 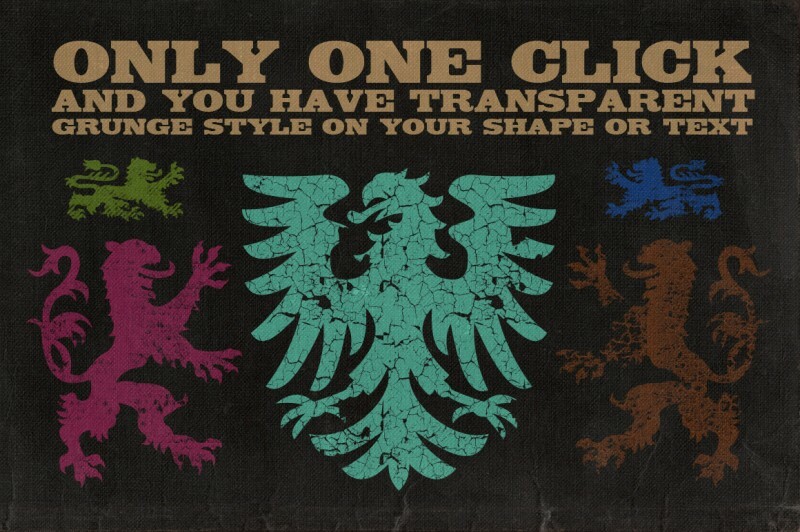 All Logos were created with extreme attention to detail. 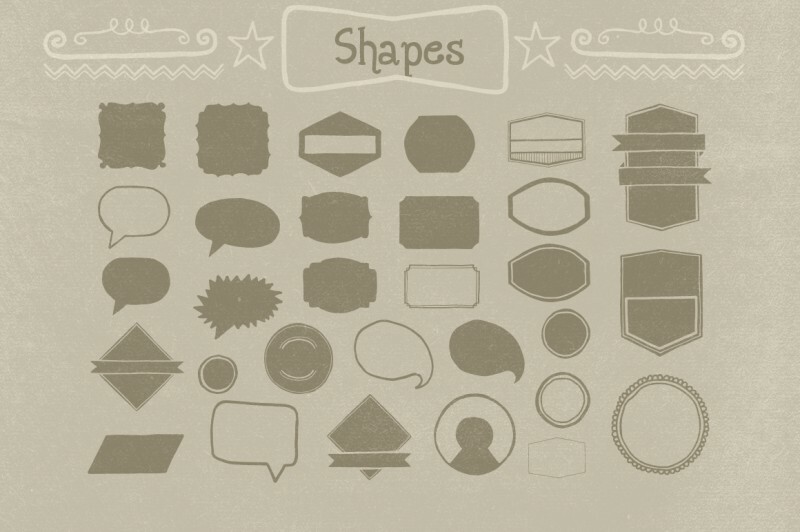 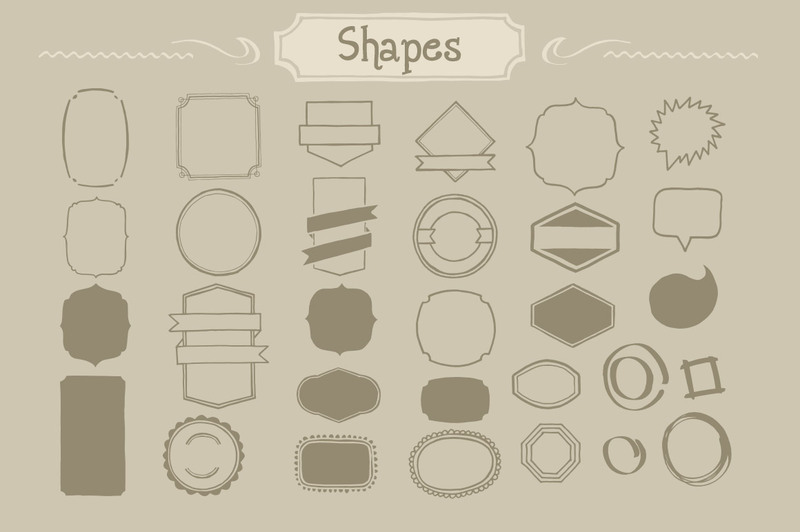 This set of vector pieces ( 16 badges pre-designed fully editables, 35 Circular elements and 28 icons ) is ideal for create logos, product labels, badges, stamps, seals or t-shirt designs. with a vintage style and high quiality design. 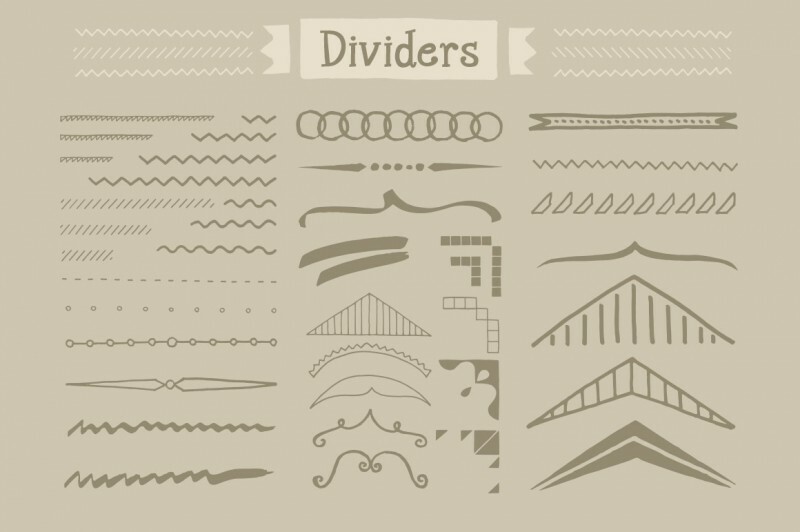 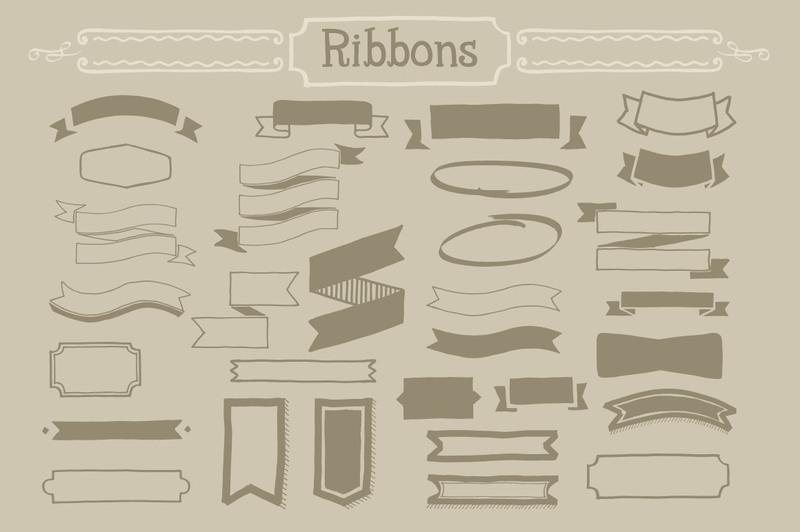 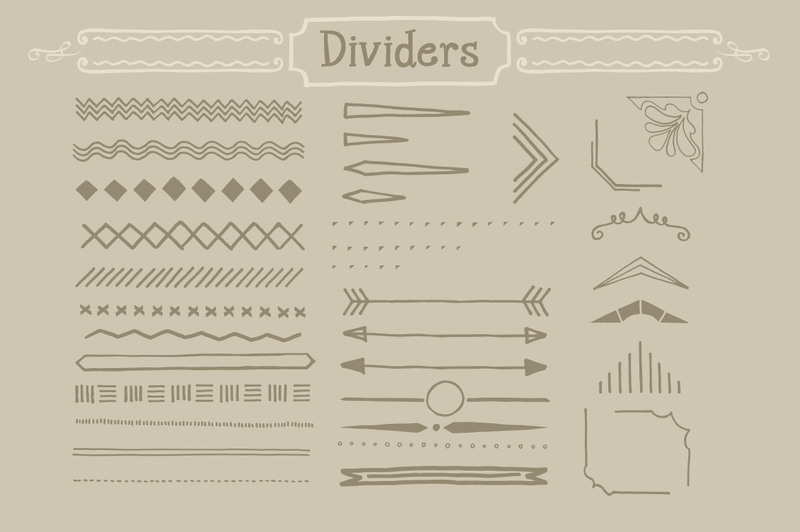 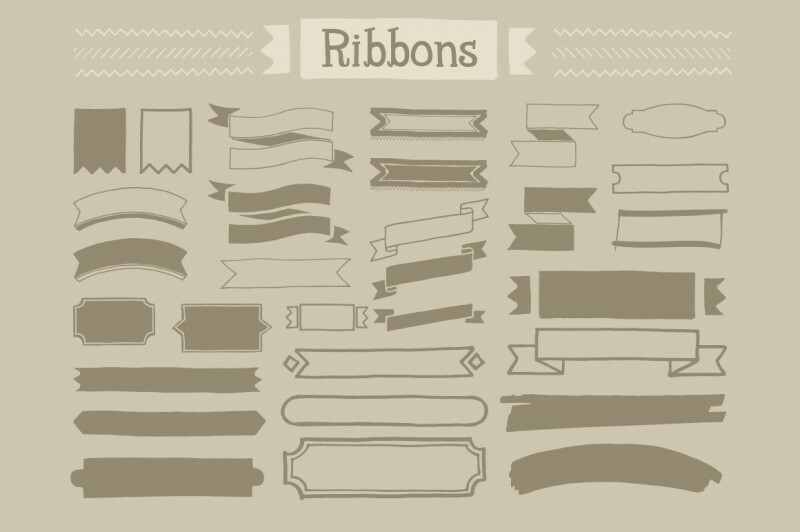 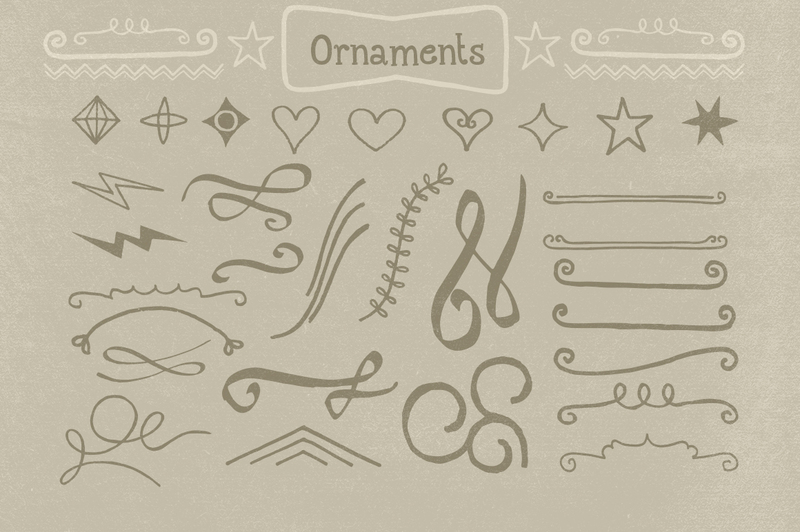 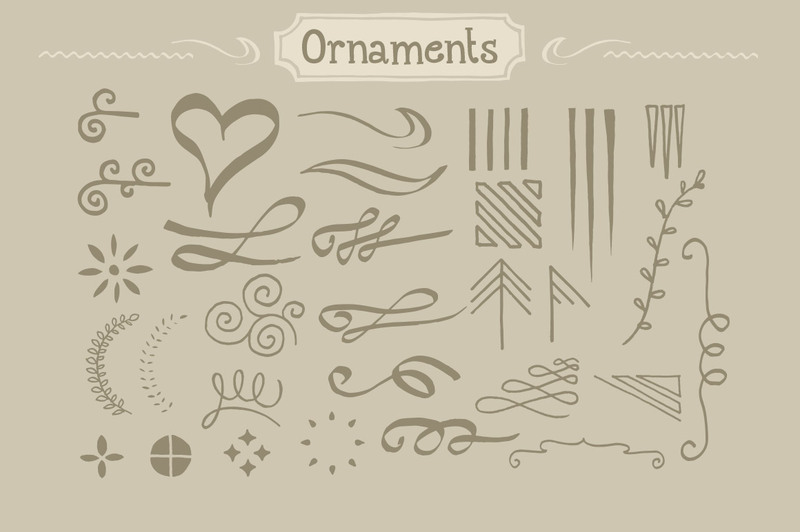 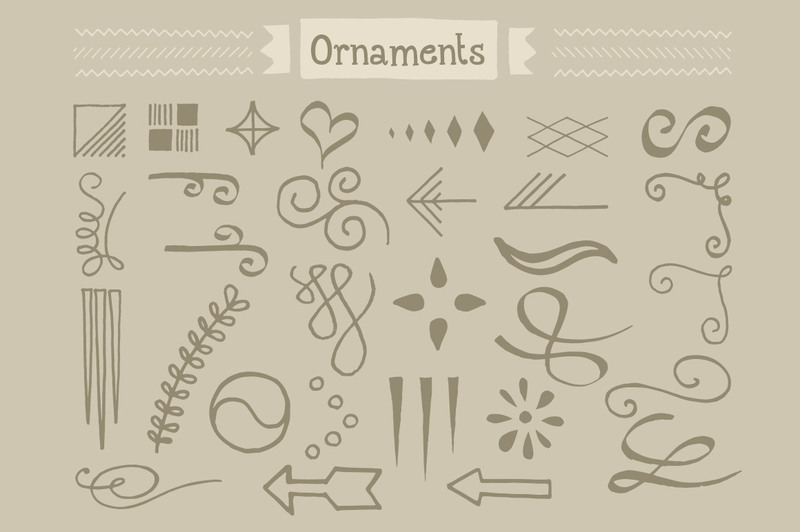 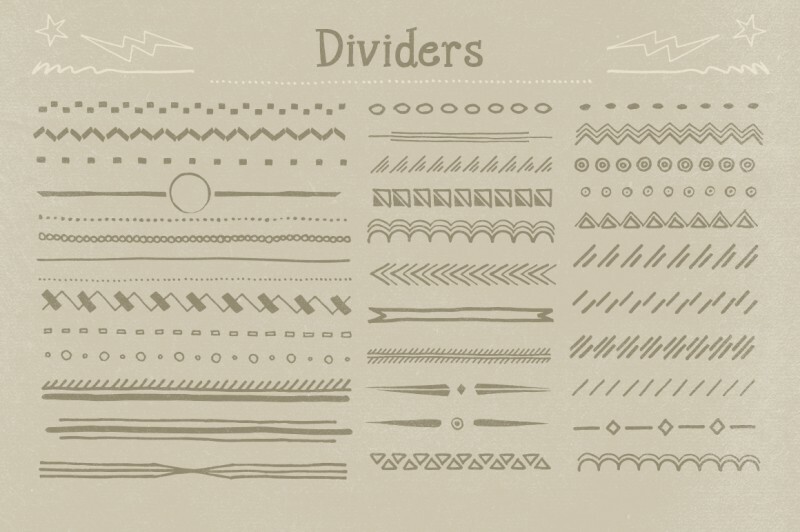 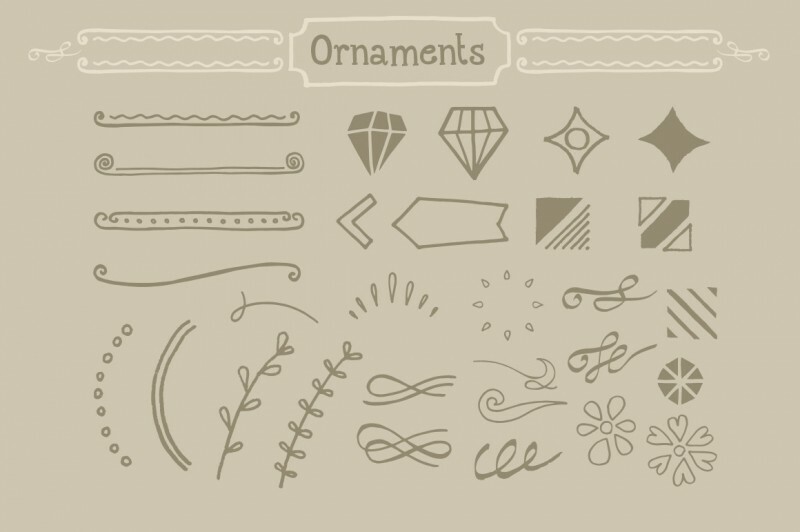 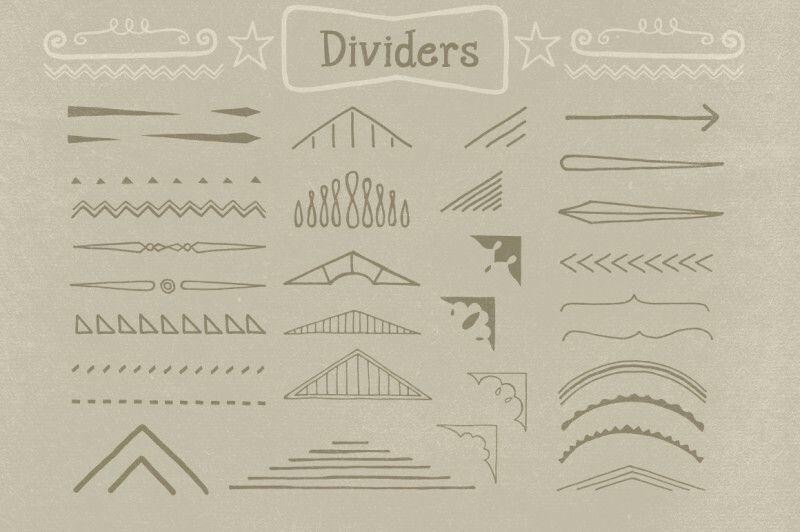 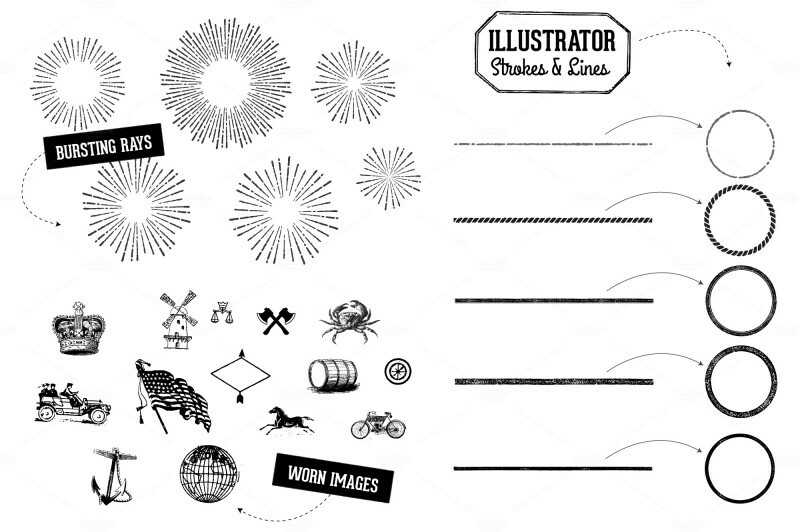 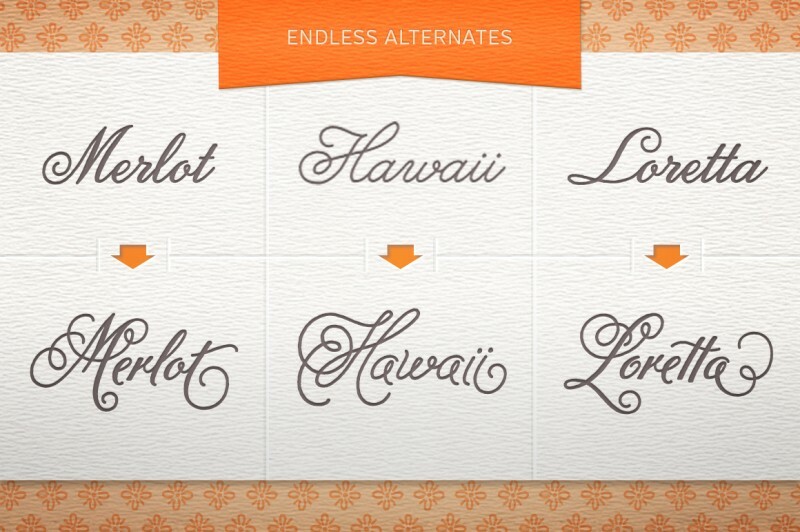 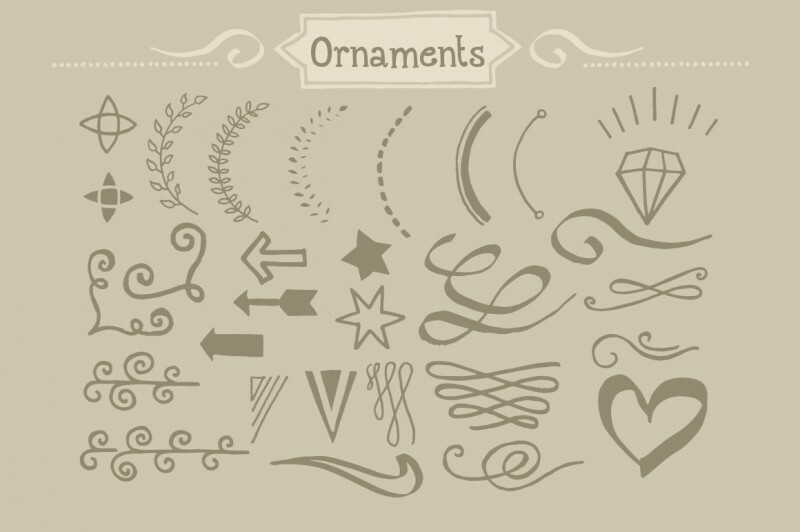 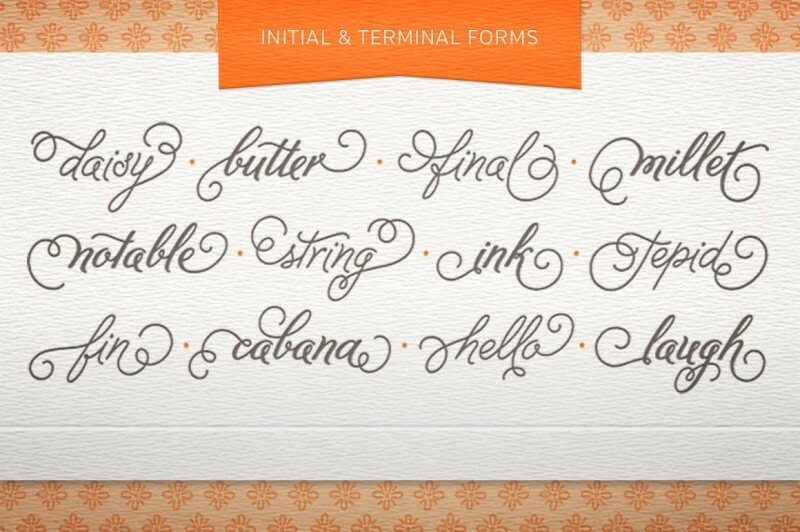 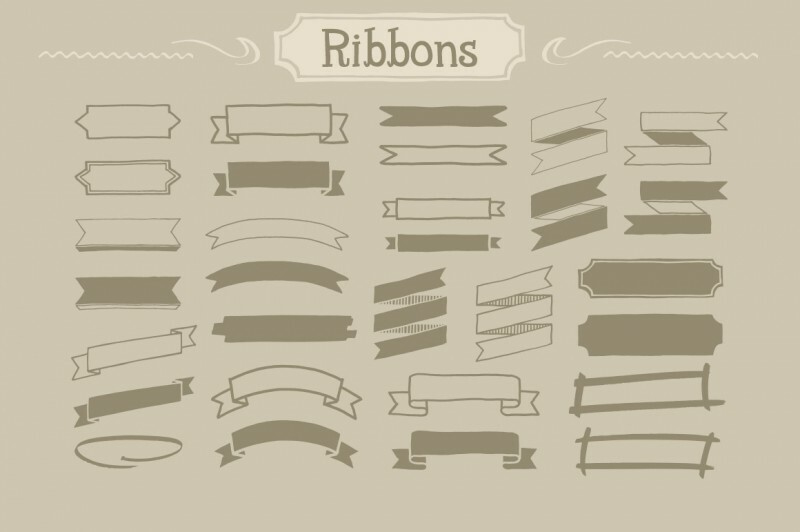 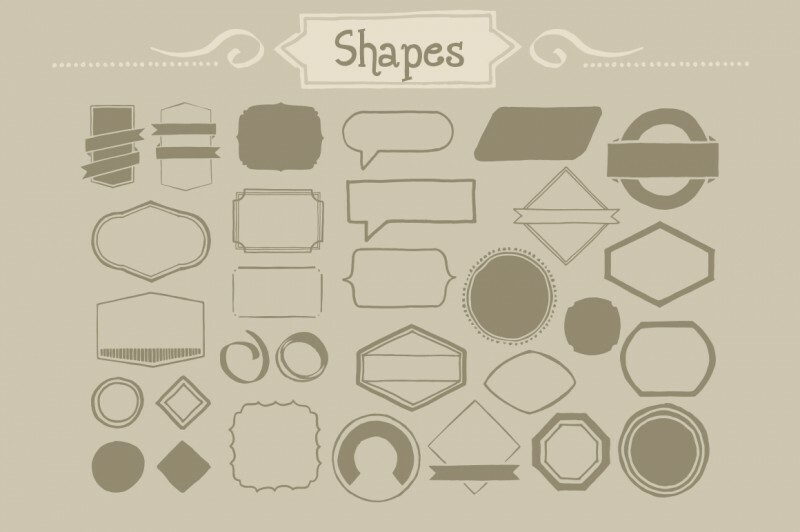 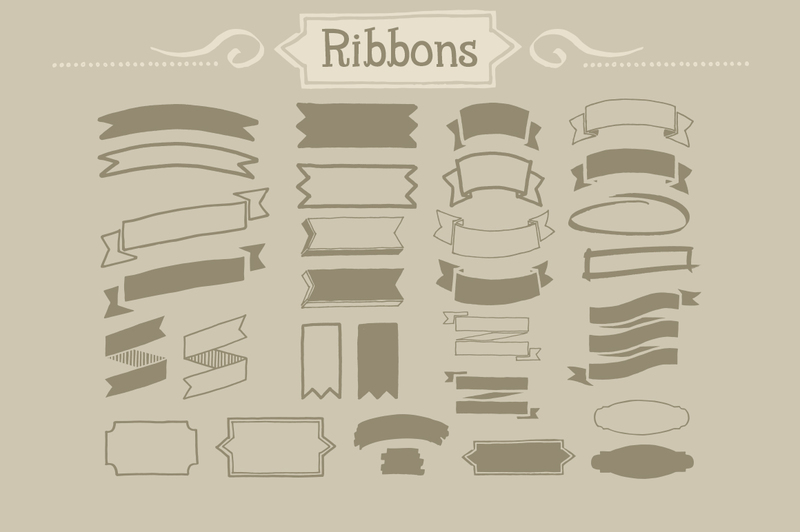 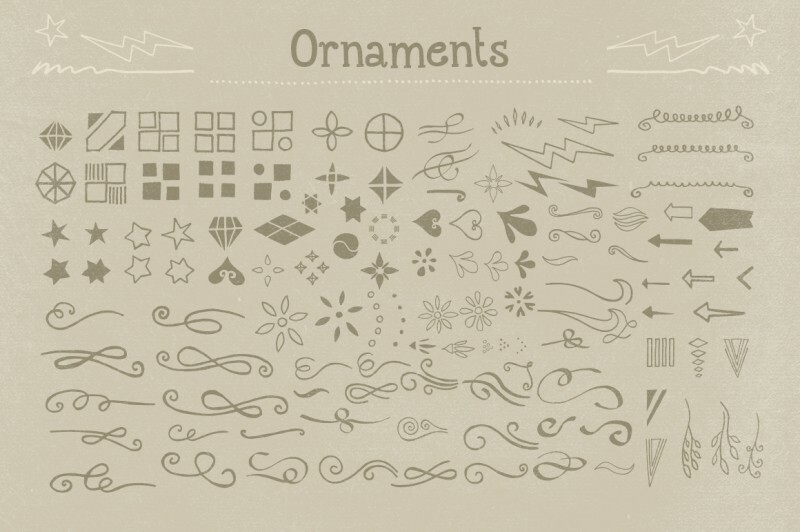 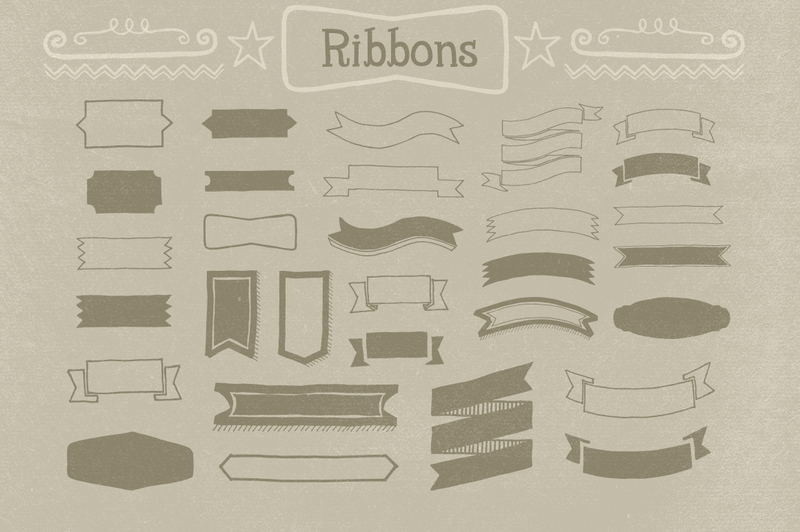 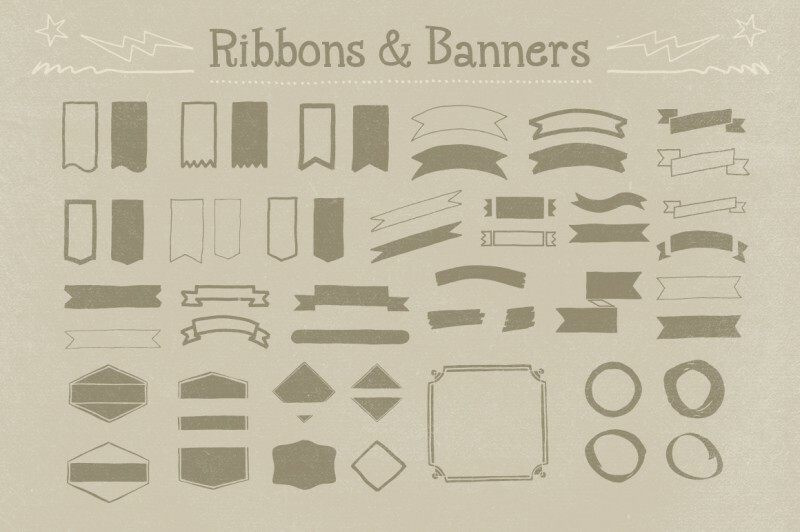 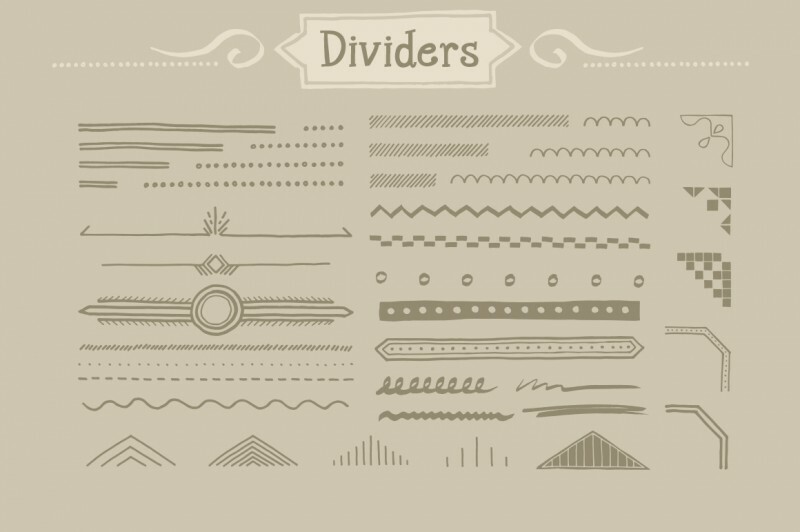 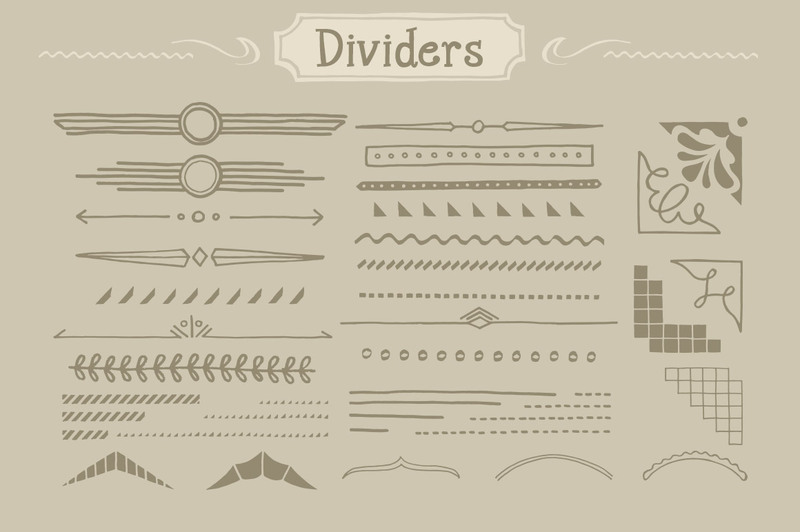 Six high quality and detailed ornamental vector labels / templates. 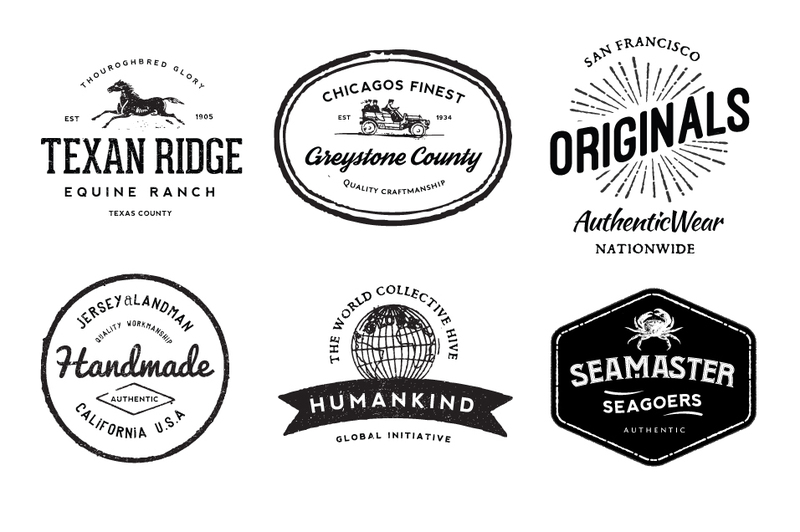 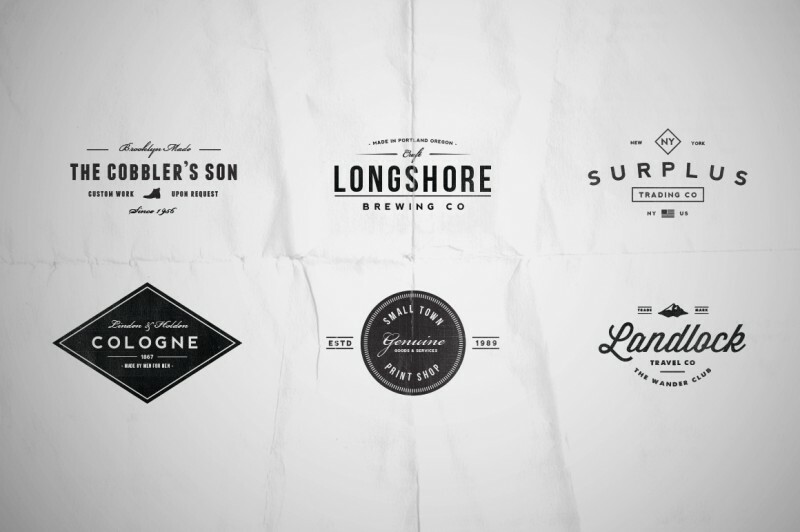 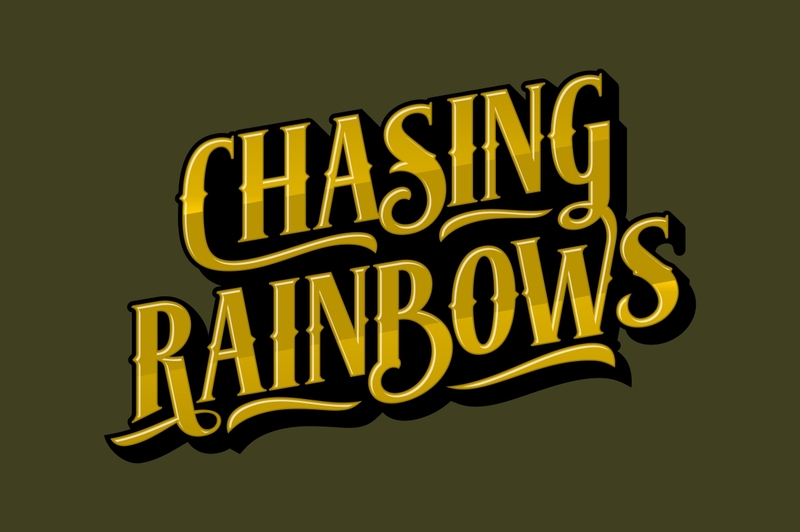 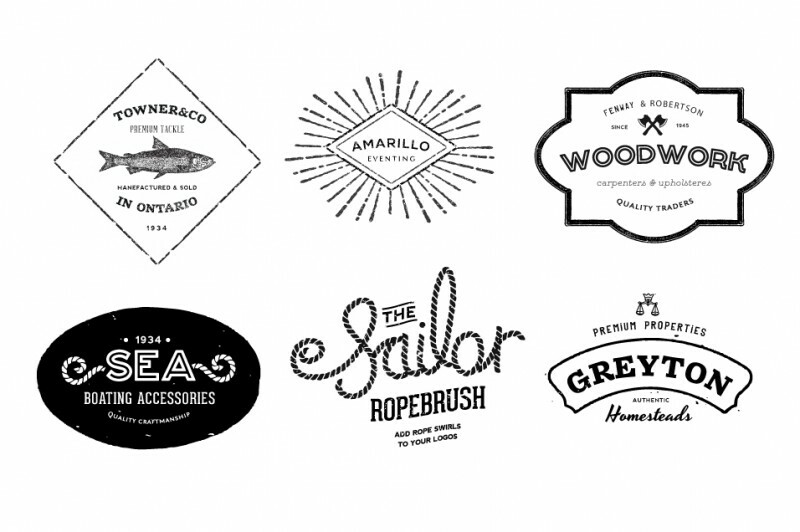 7 Vintage Hand Drawn Style Logos And Badges. 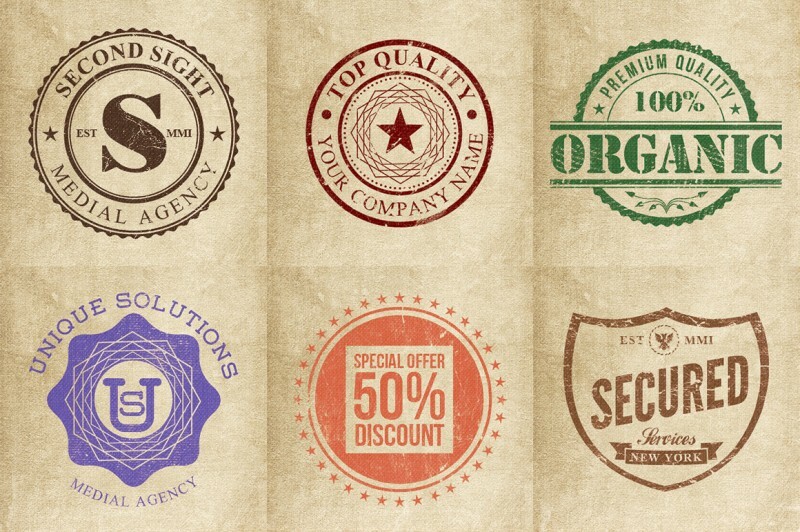 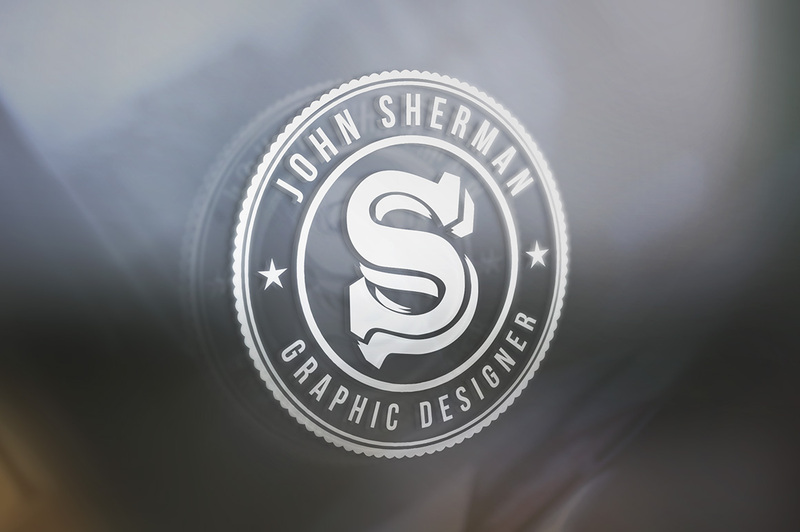 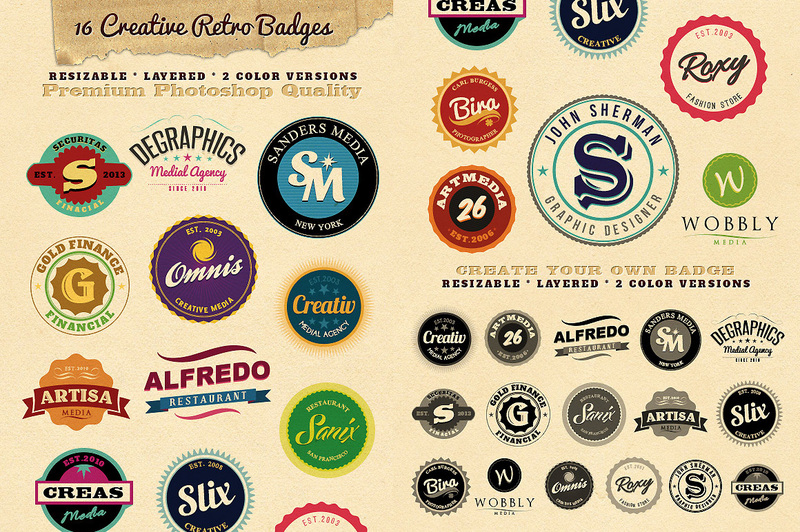 10 retro/vintage badge templates in Adobe Photoshop with 10 pattern alternatives! 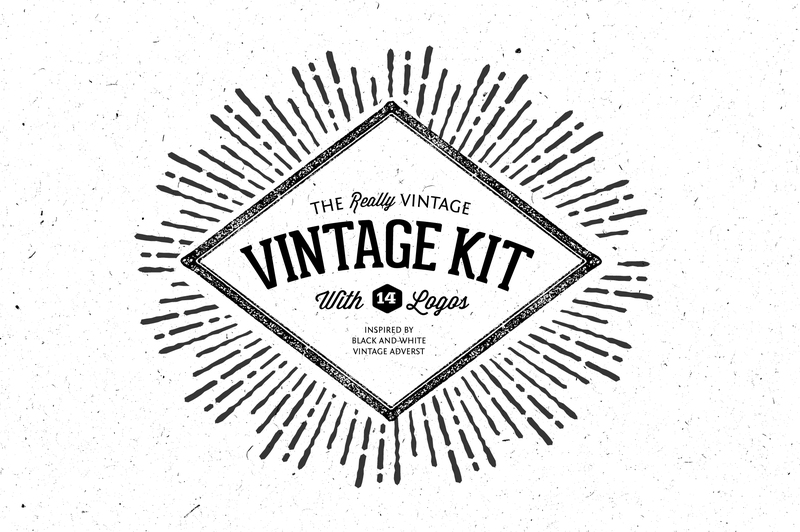 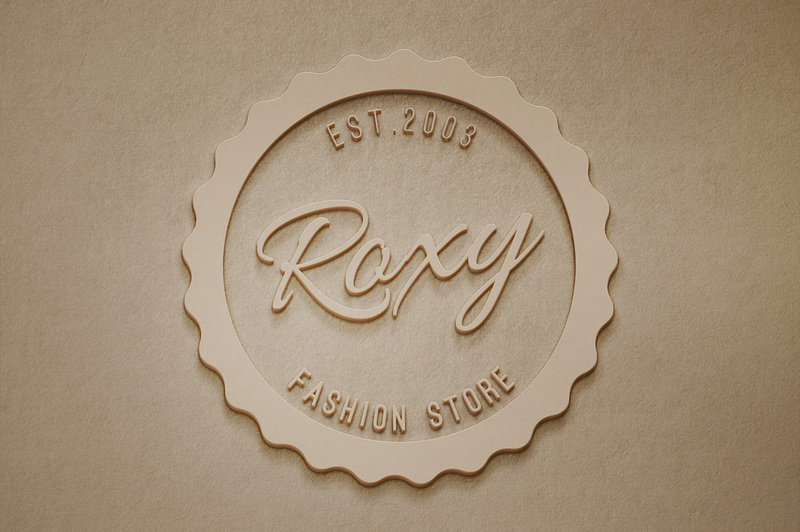 16 simple retro/vintage badge templates for Adobe Photoshop or Elements. 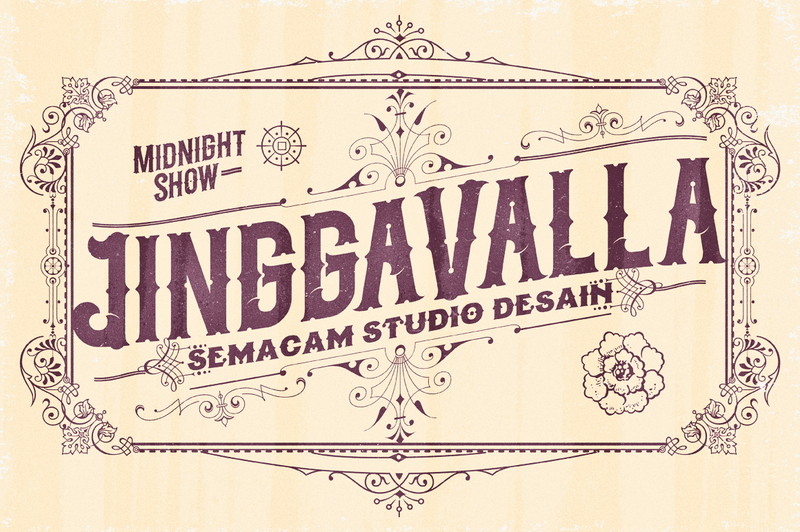 This is a handmade typography and inspired by the graphic design craft. 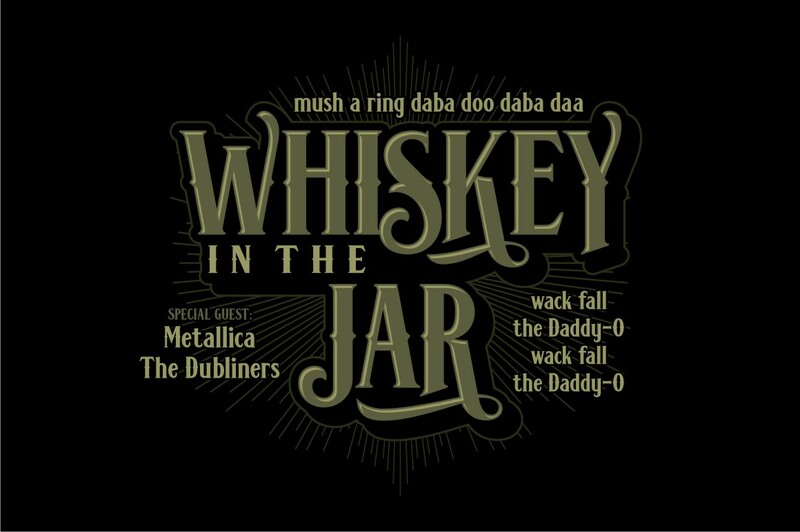 Only the uppercase letters incorporated. 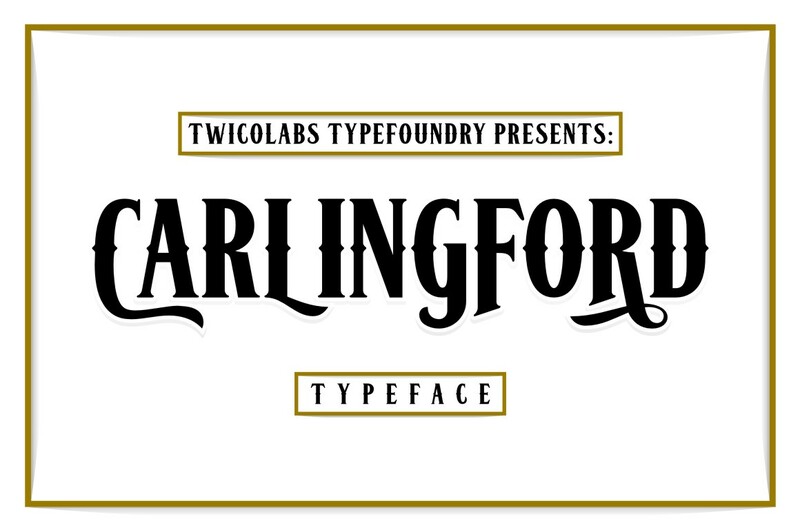 In TTF and OTF formats. 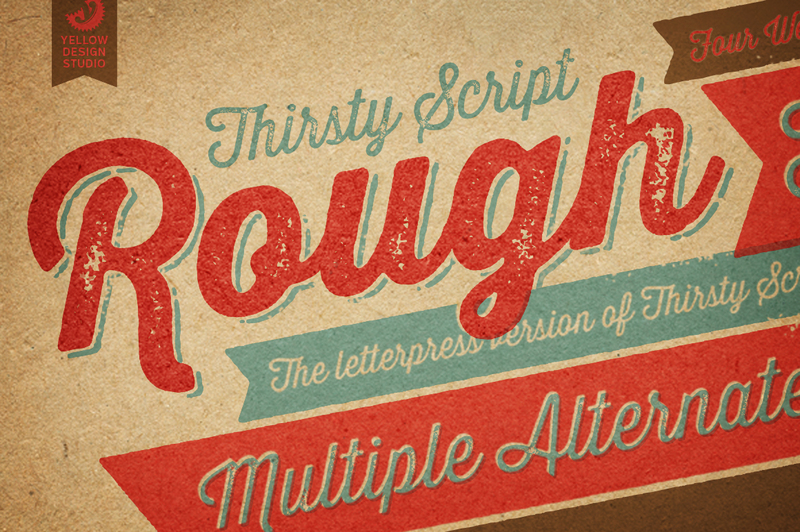 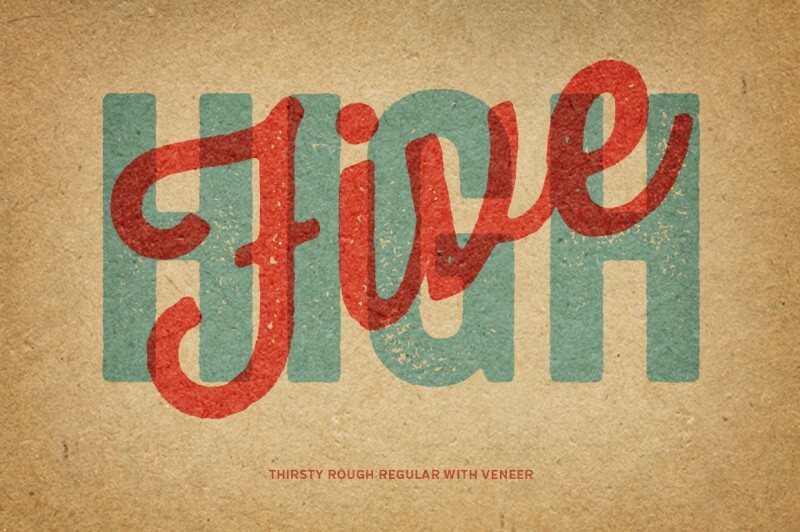 Thirsty Script Rough from Yellow Design Studio is the warm and weathered version of Thirsty Script with texture that captures the authentic qualities of letterpress printing. 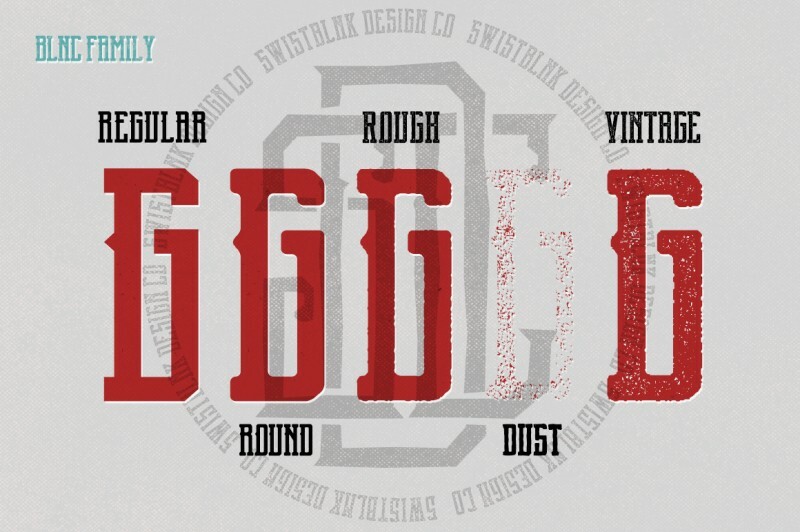 It’s highly customizable with four alternate versions of every weight ranging from very light to heavy distress. 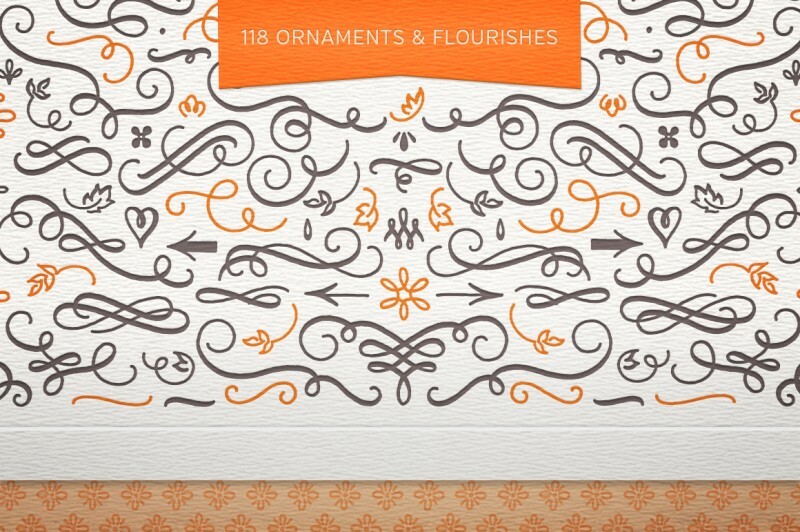 Because it’s remarkably detailed, it looks great even at large sizes. For extra customization and fun, it includes a set of matching shadow layers and texture pieces. 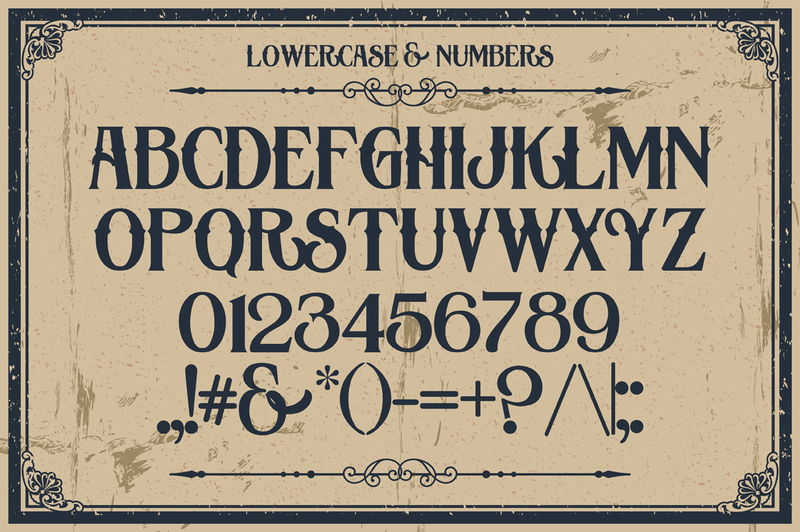 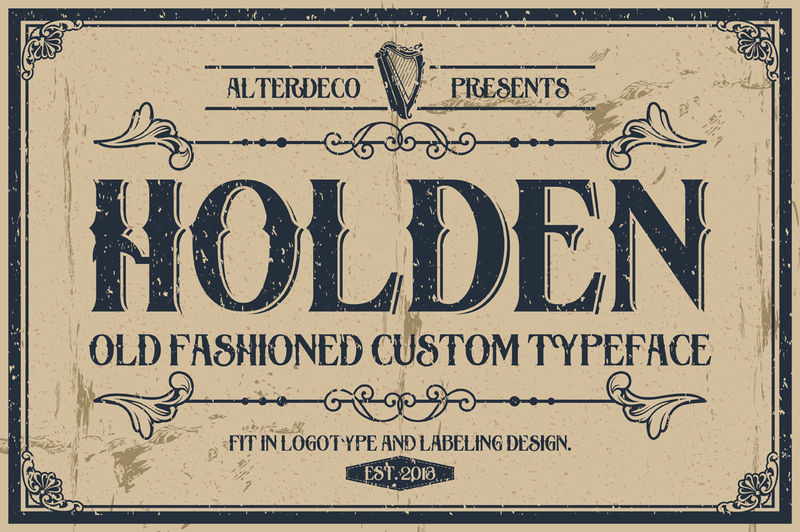 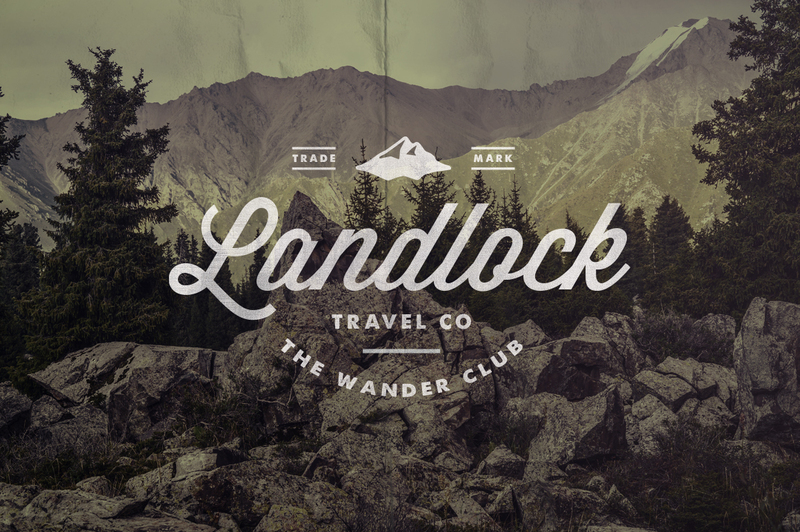 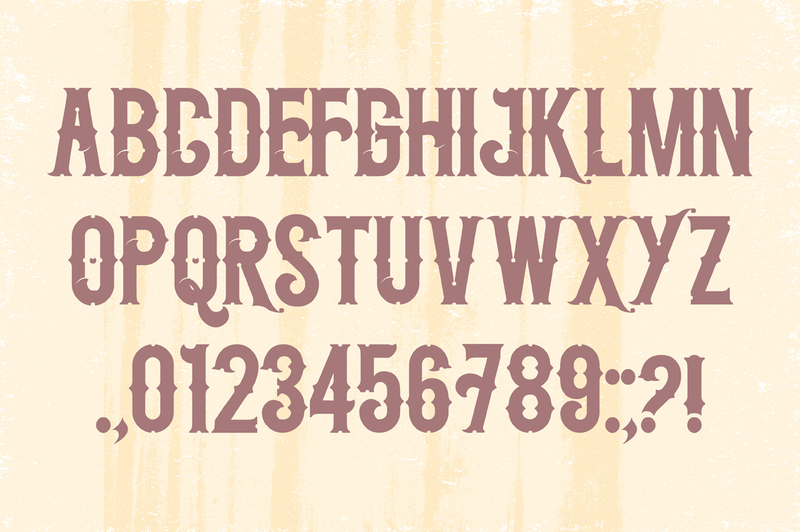 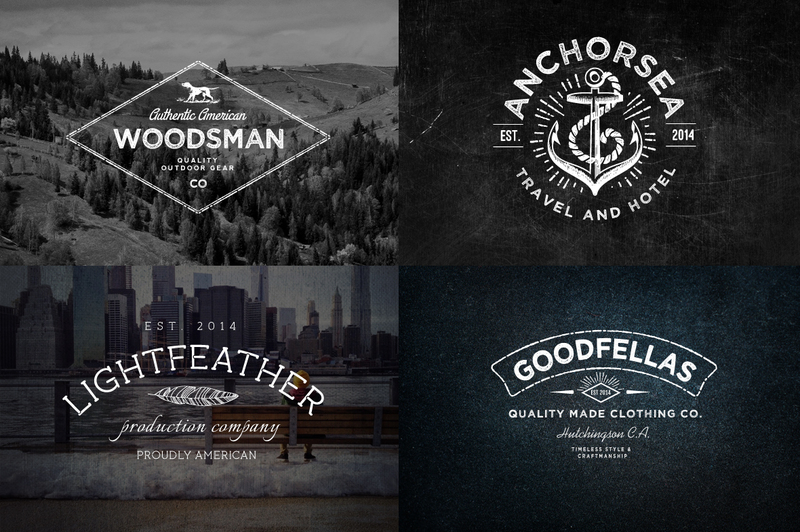 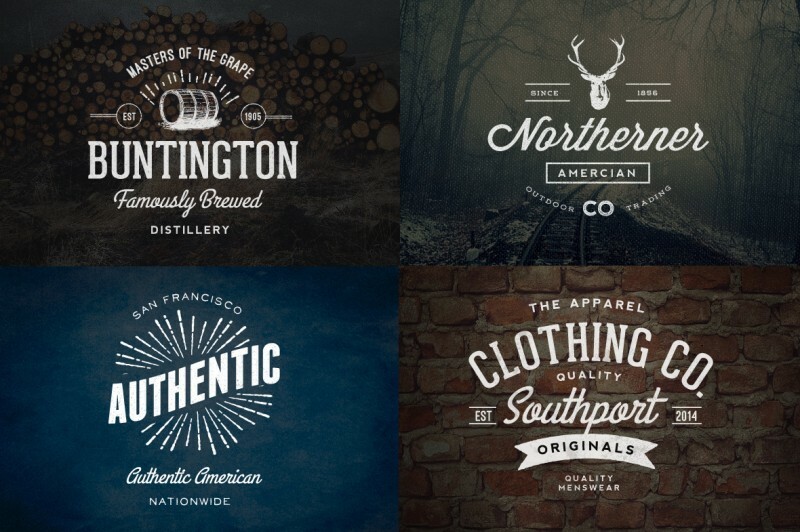 Holden typeface is a vintage font, useful to create a vintage apparel design, logotype, and labeling. 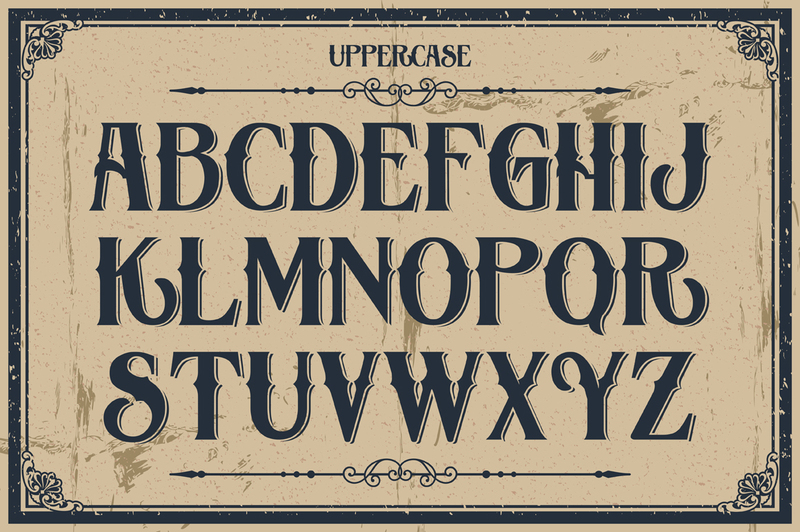 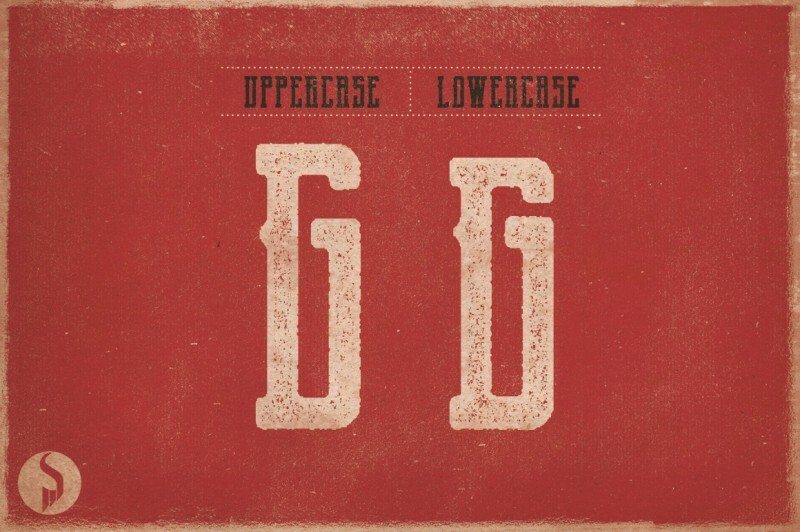 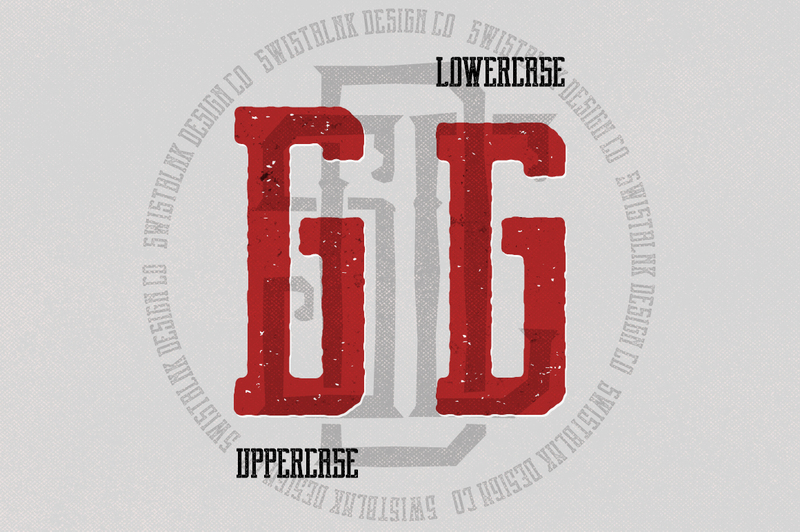 The uppercase is in shadowed style. 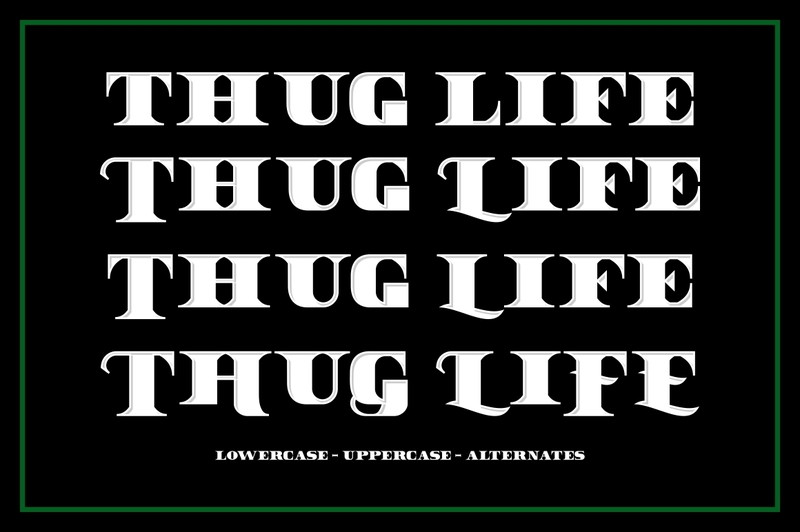 Available in otf and ttf. 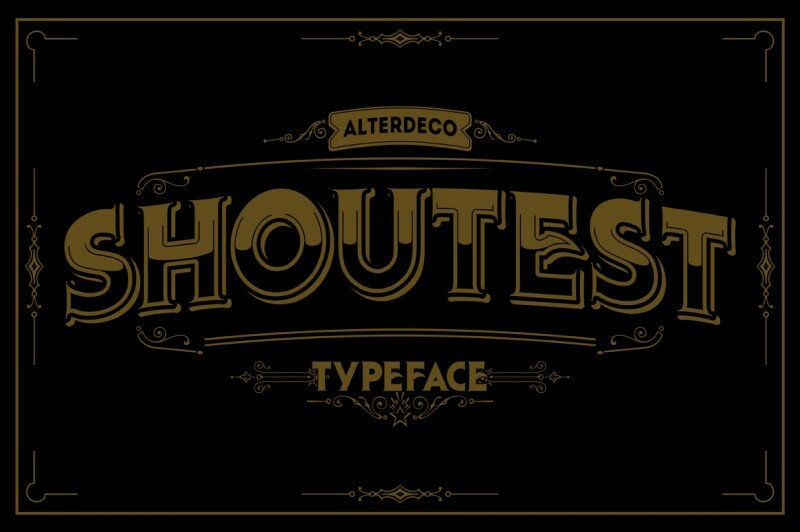 Shoutest typeface is a modern retro style typeface, available in 2 styles regular and shadowed, both in ttf and otf format. 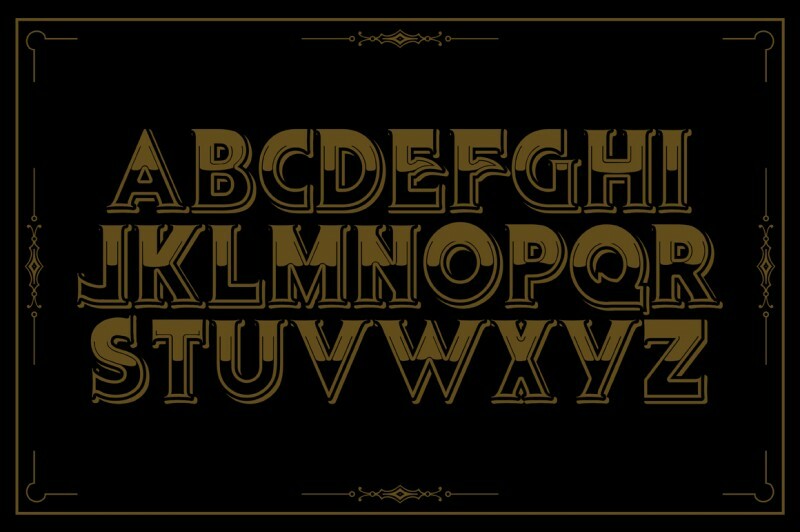 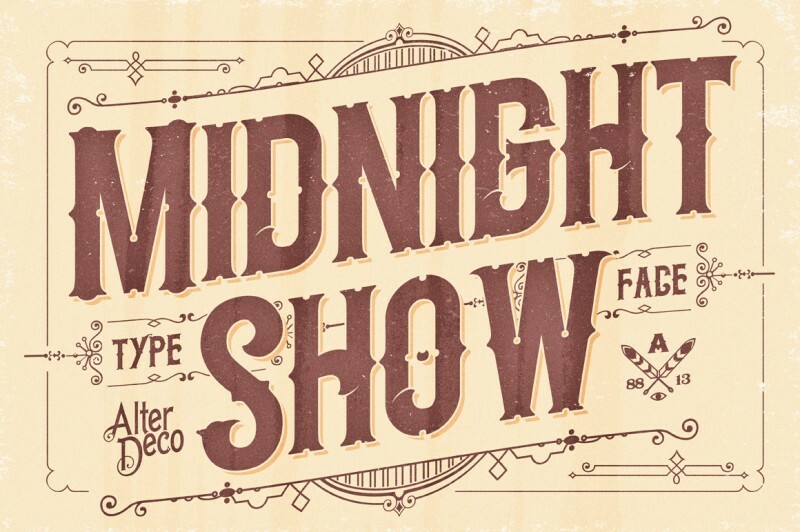 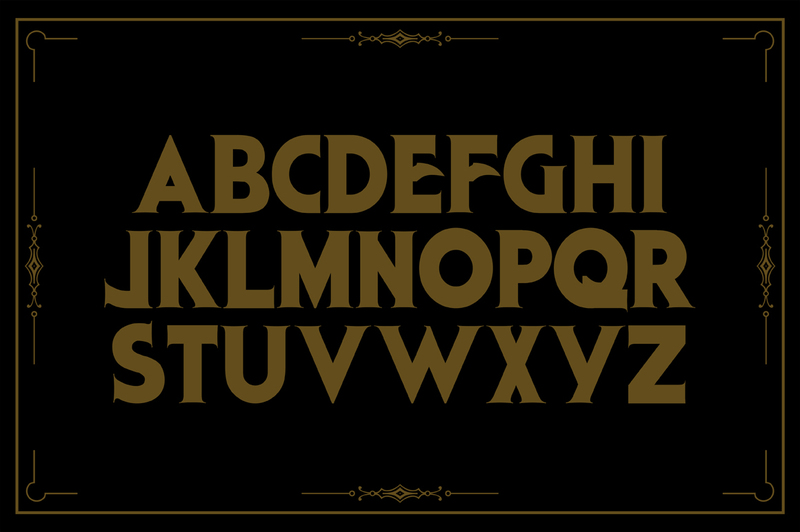 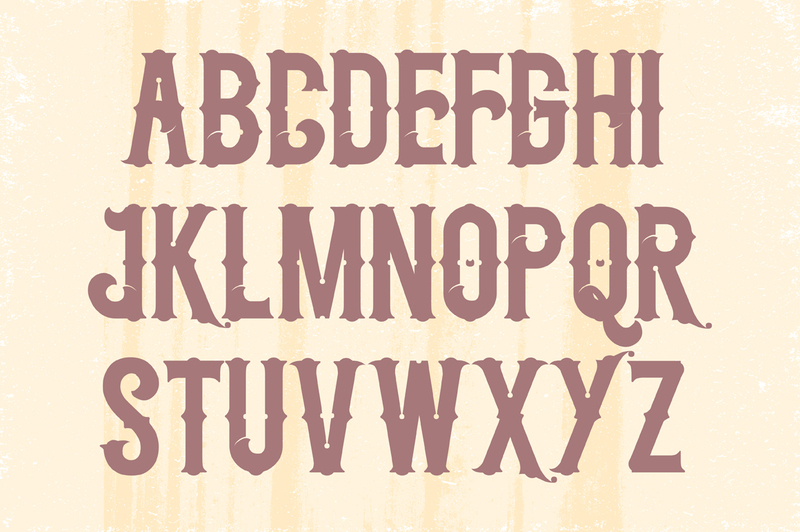 “Midnight Show” typeface, it’s an old fashioned typeface,, inspired by classic and vintage sign typography designs. 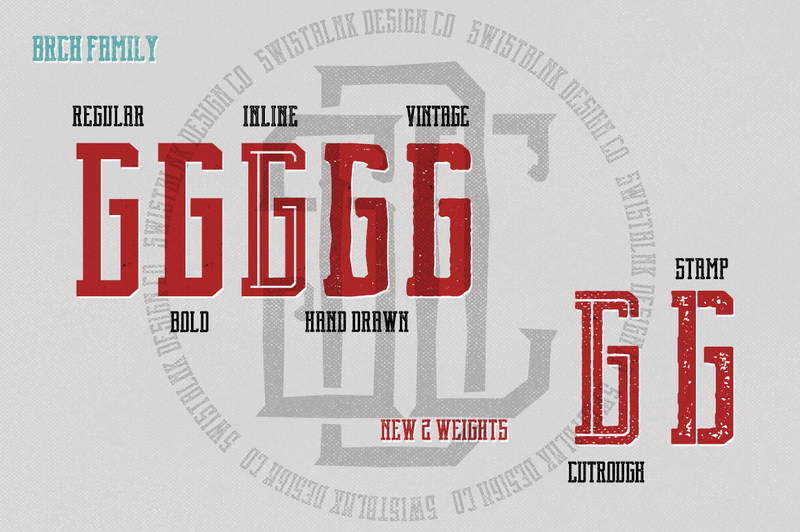 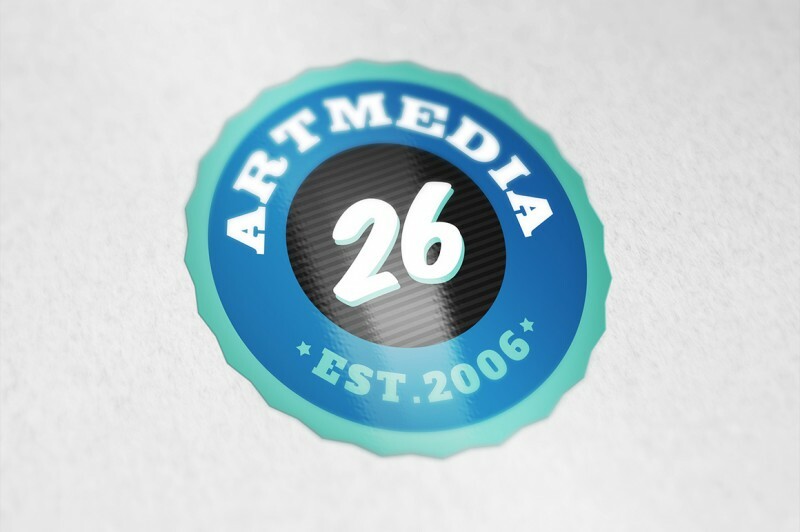 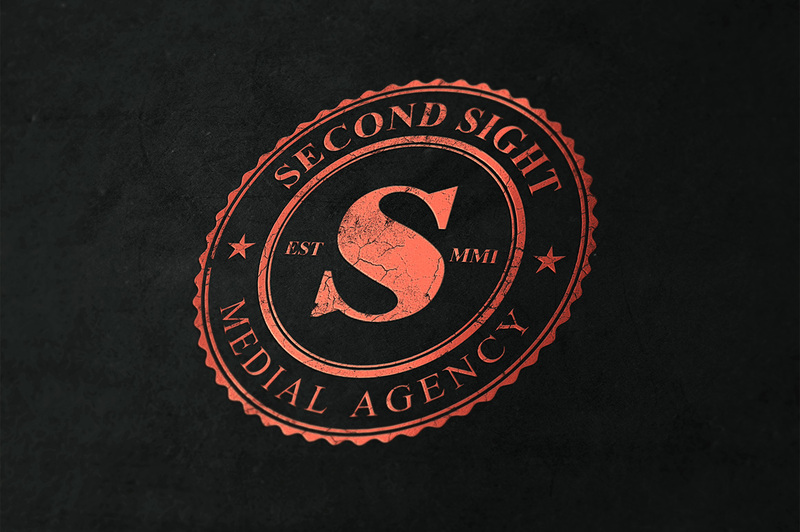 It’s perfect for creating a logotype, or a t shirt/apparel design. 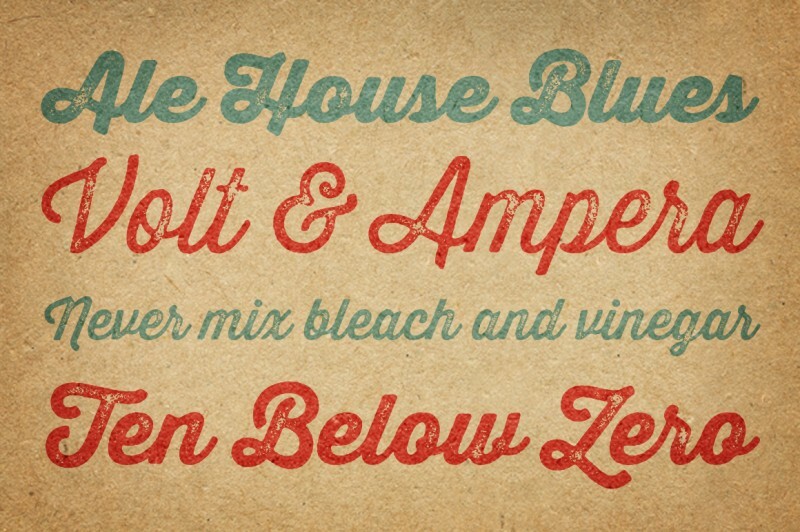 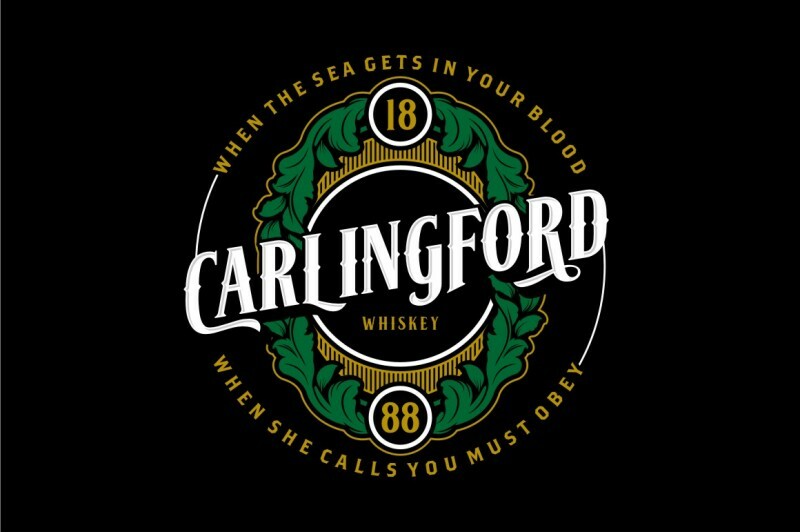 Carlingford, a font with classic feel that inspired from old advertising and signage letters. 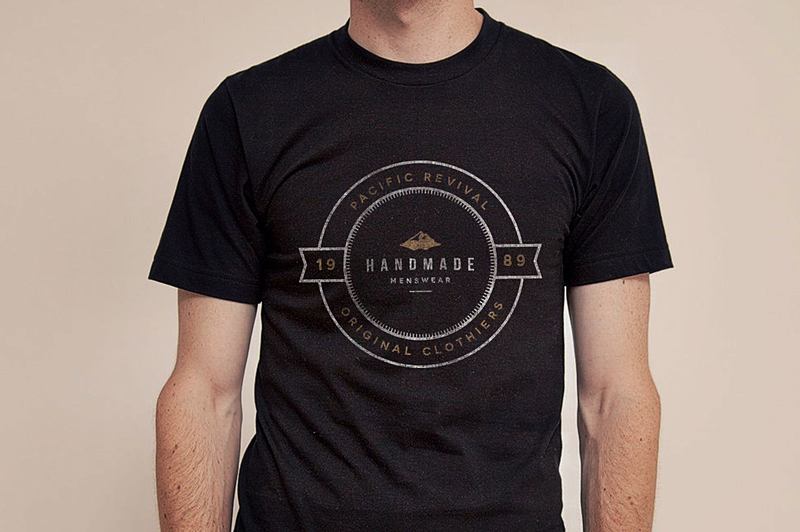 Crafted with high attention to the smooth lines and details. 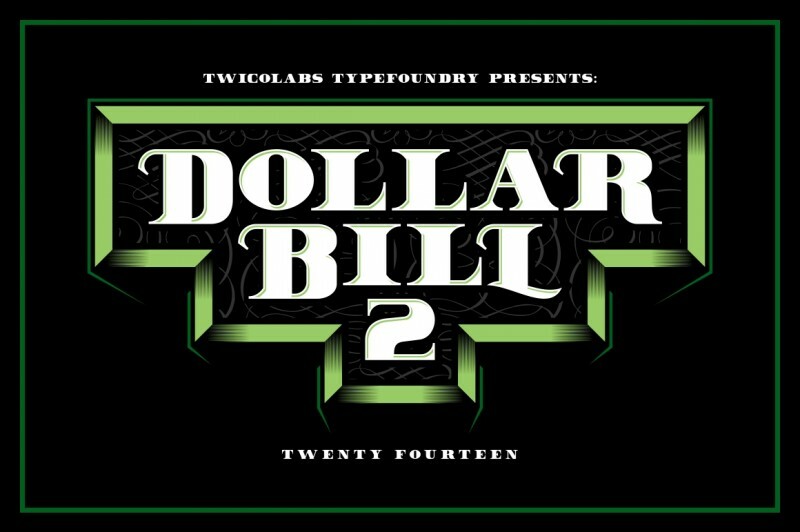 Dollar Bill 2 is a new and enhanced version of our previous Dollar Bill font. 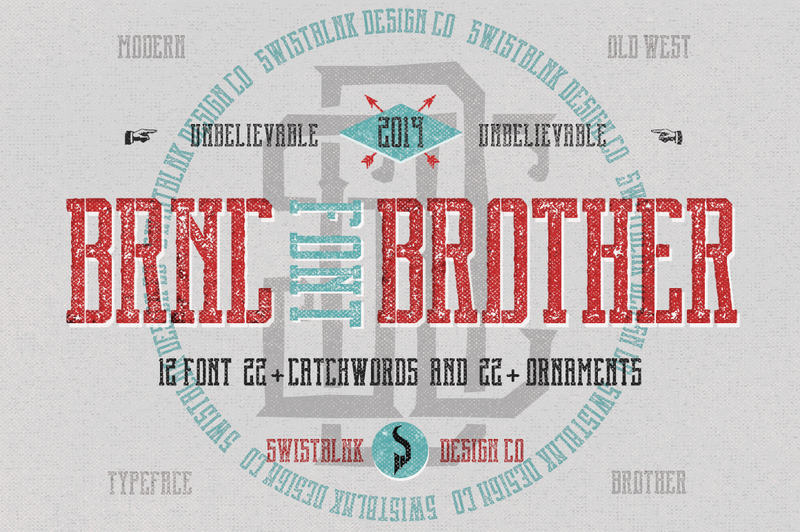 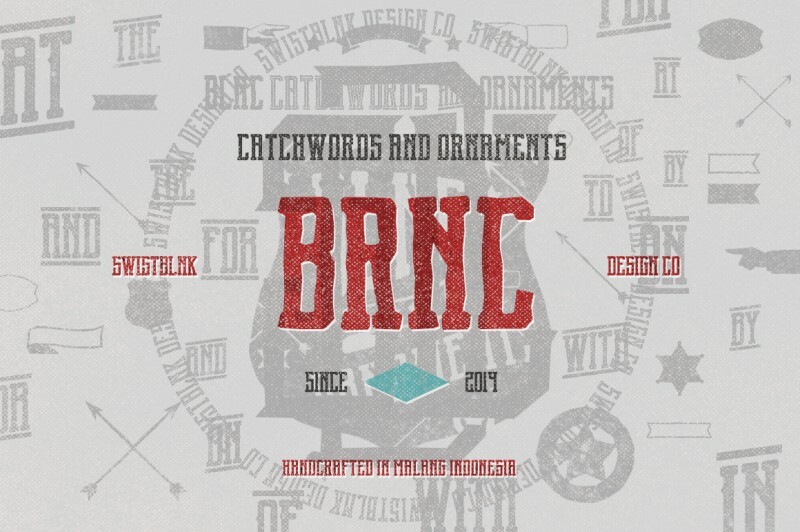 Brnc is Font Brother includes 2 Font Family (Blnc Family and Brch Family + 2 new weights) with 22+ Catchwords and 20+ Ornaments in vector format. 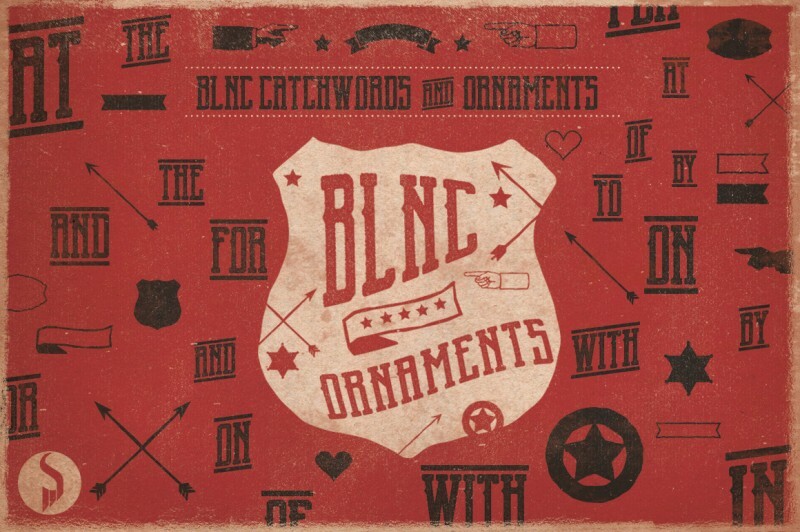 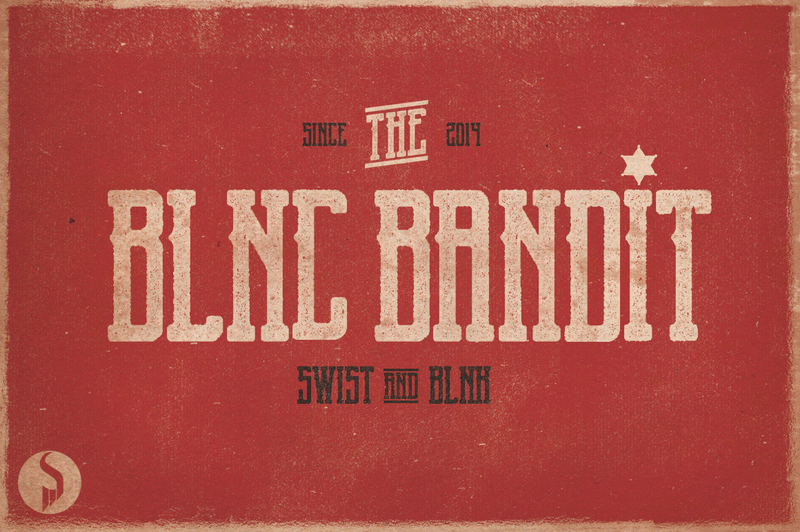 Blnc inspired by Old Western lettering with some Modern touch. Great for almost all of your designing needs including headline, labels, logo, etc. 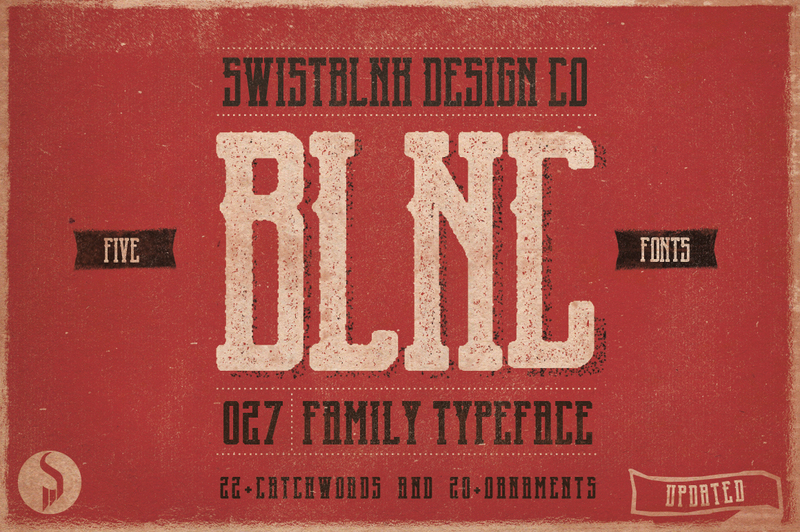 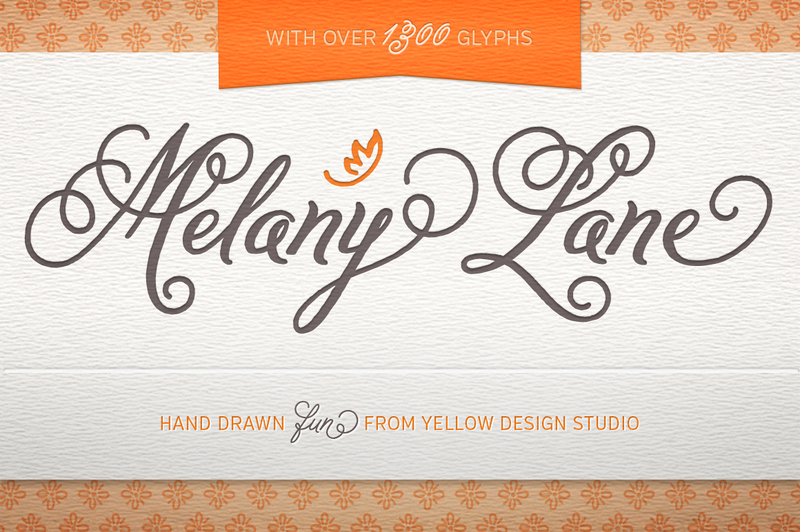 If you like Vintage Hand drawn style, Blnc come with vintage style and add some dust to feel more hand drawn. 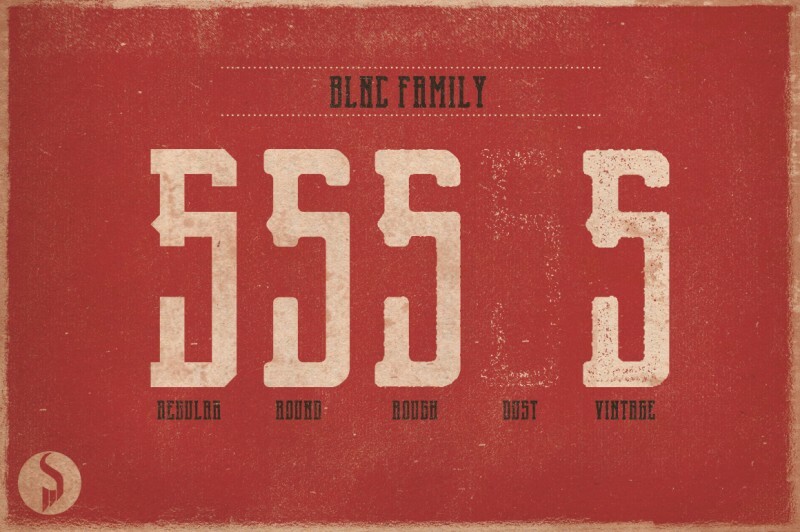 Family includes 5 fonts. 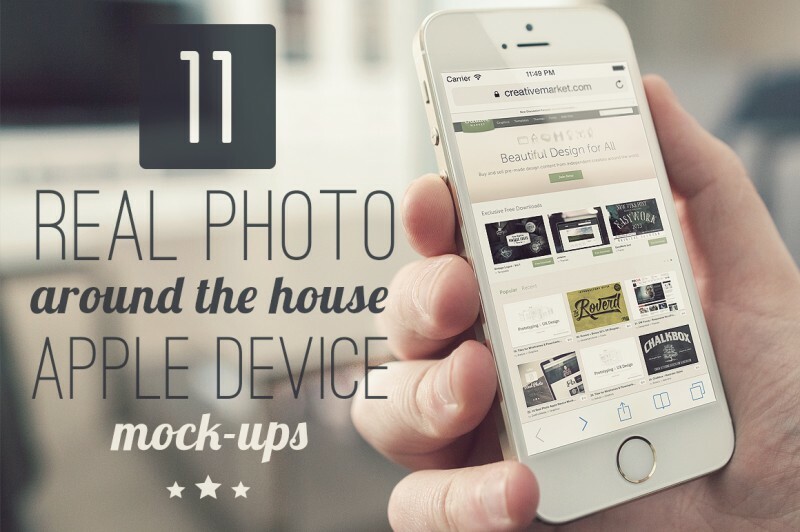 11 Around the house Apple device Mock-ups.Super clean and sharp images with replaceable Smart Object screens. 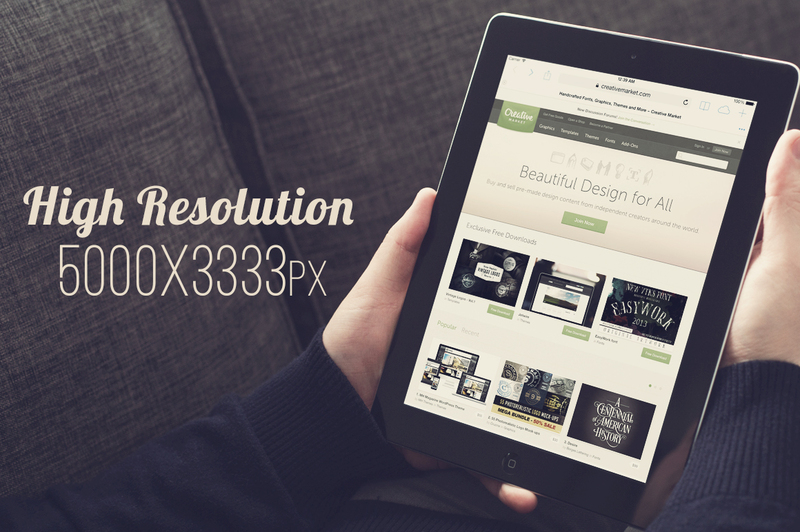 Perfect for advertising a Web Theme or App! 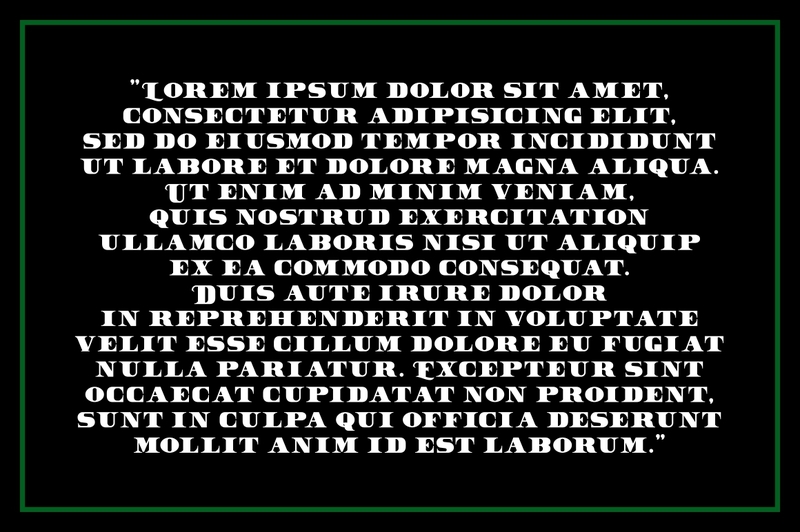 Real easy to edit. 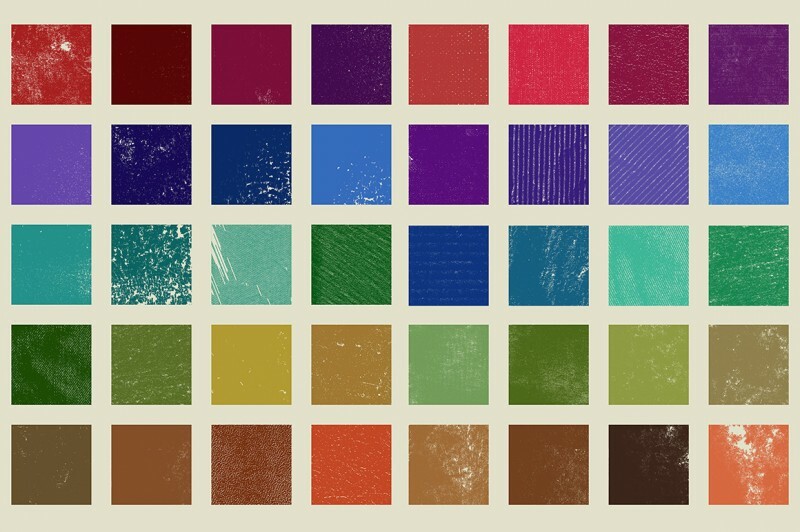 Just drop in your screen shot, color correct to your liking and you’re good to go! Devices: iPhone 5s, Macbook Pro Retina, iPad Retina, Macbook Air. This kit of Layer Styles is inspired by the original titles of American Famous Films and Film Noir of 1920-1950. This pack contains 5 fully editable PSD files, layered and high resolution, with textures and realistic effects, in some cases contains the name of the font and the link to download it if you want to get the same results as the preview. 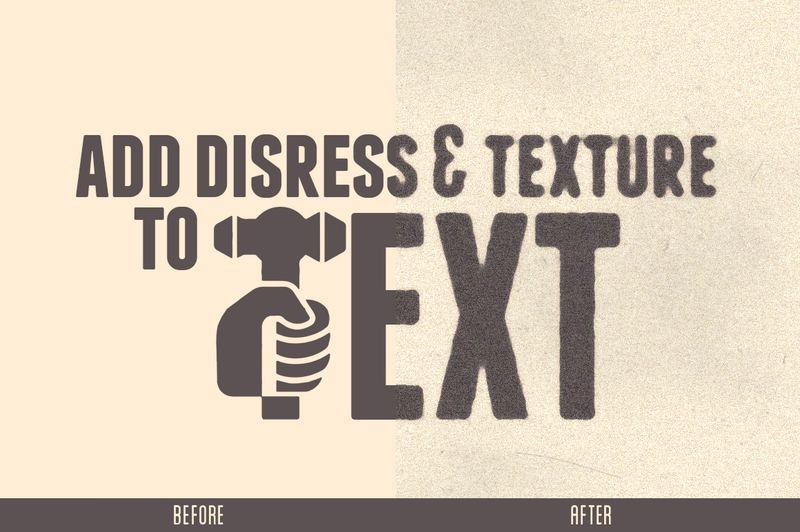 Include textures. 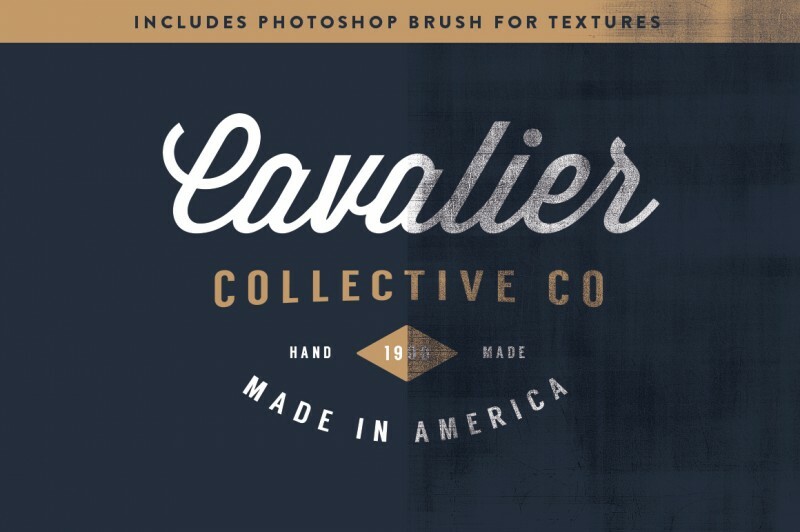 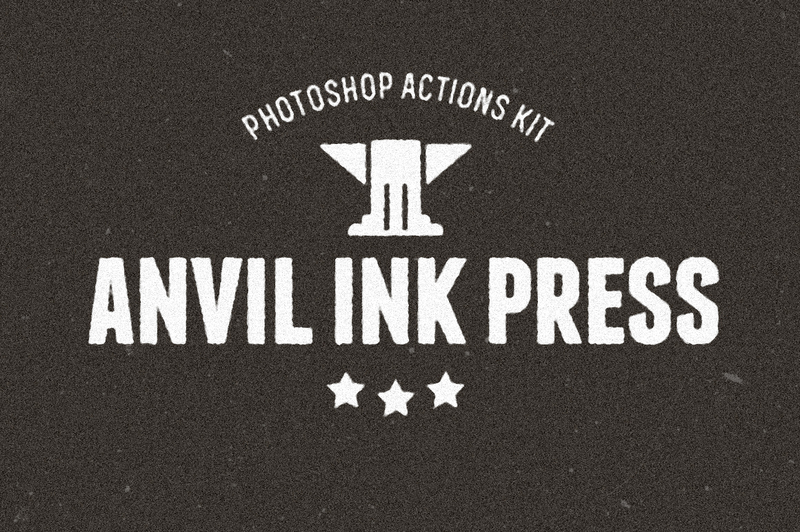 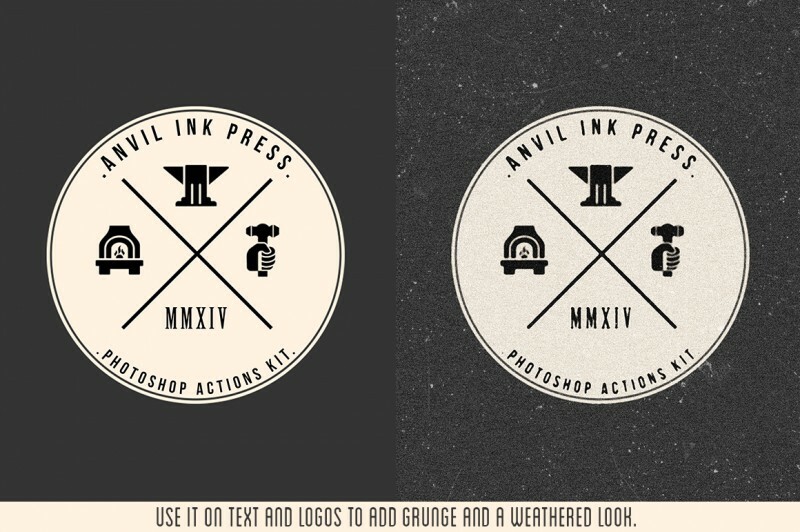 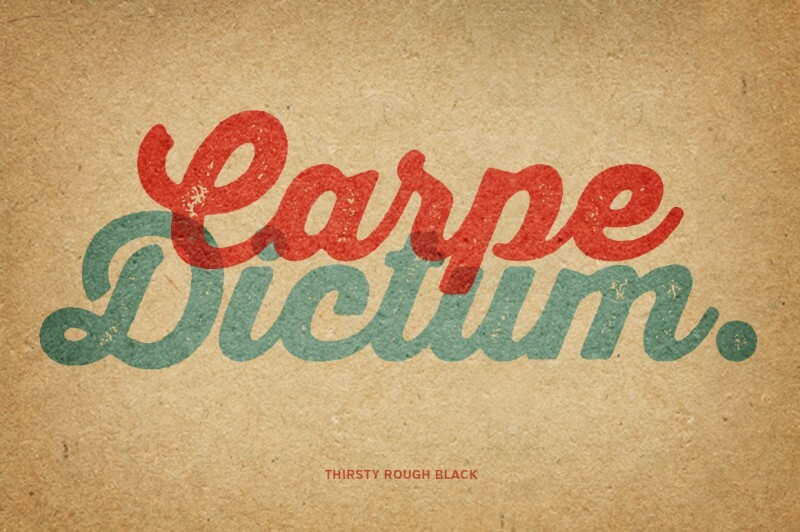 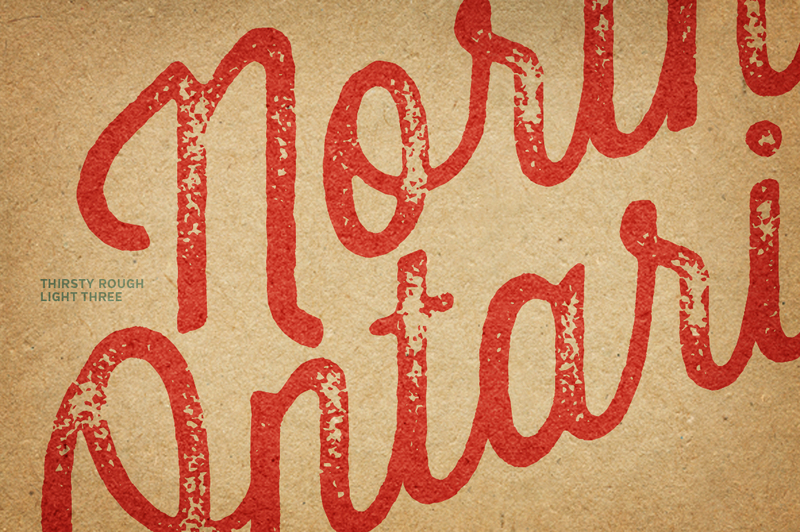 Awesome Photoshop Actions + Brushes Kit to add distress and a weathered look to Text or Logos. 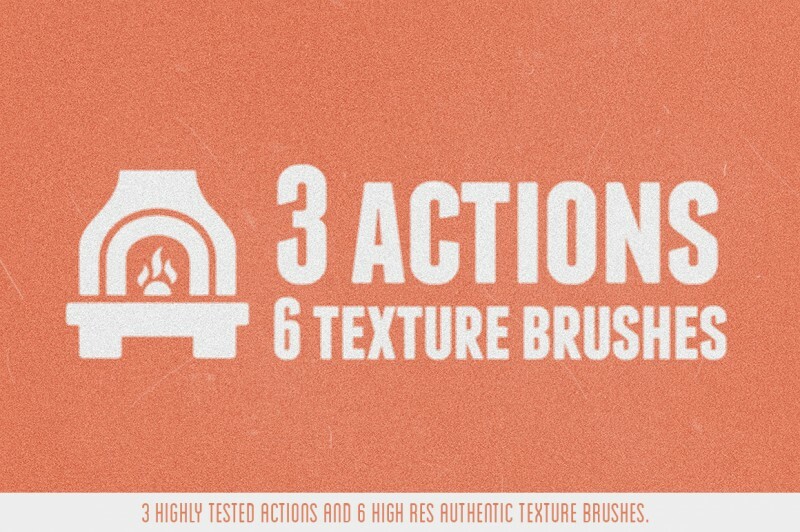 3 actions that are very easy to use with step by instructions. 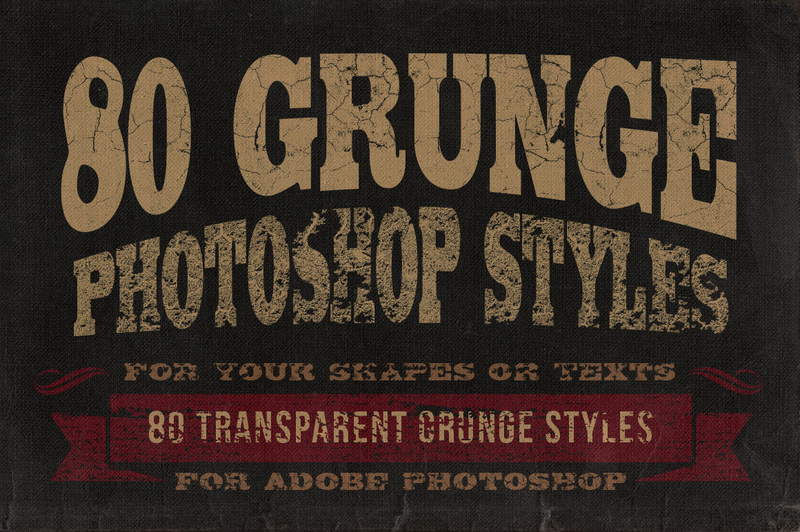 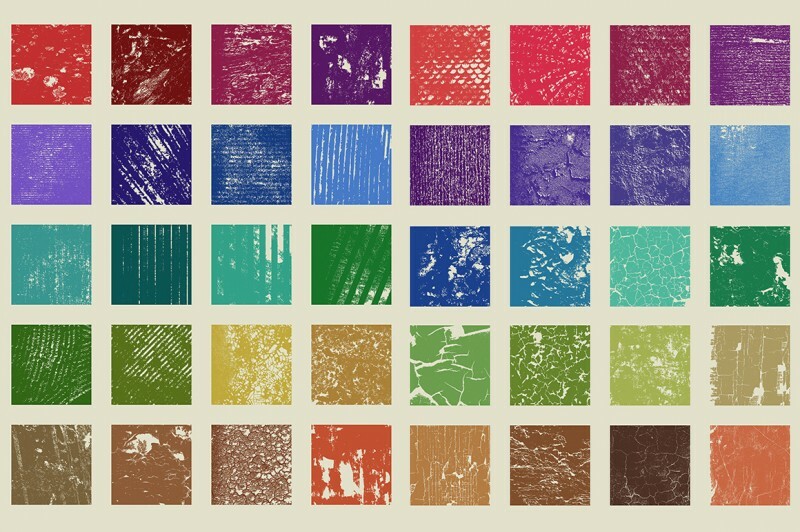 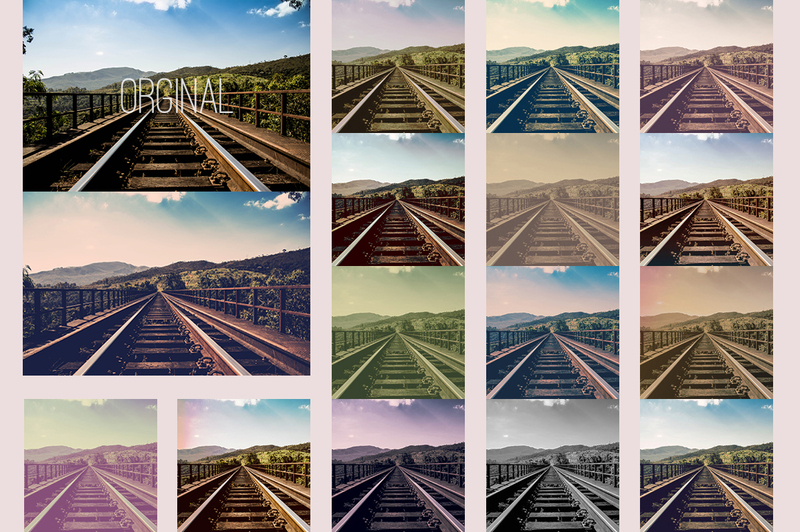 6 High res grunge texture brushes to create endless possibilities! 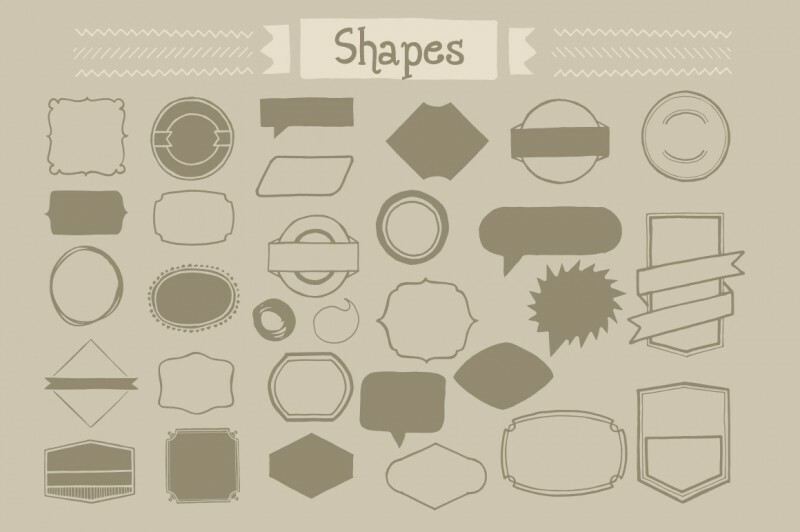 An easy to understand help video is also included which walks you through the process of using the kit. I’m always looking for classy photo filters and have a hard time finding filters that allow you to make tweaks and changes. 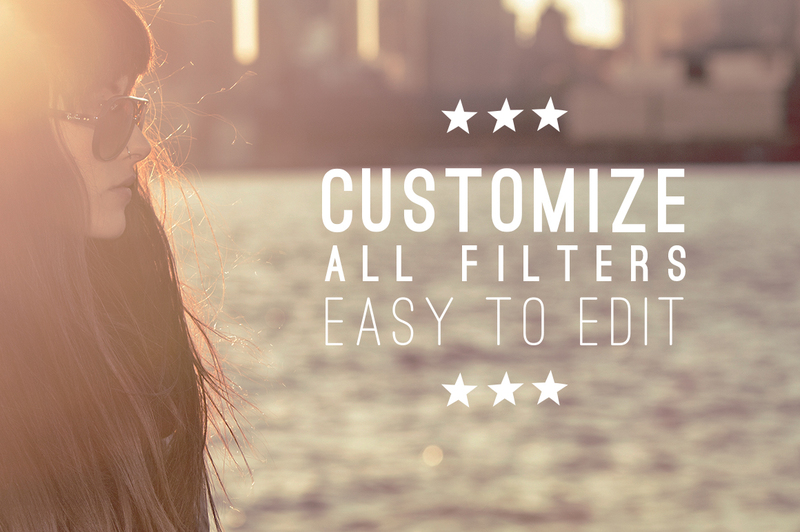 That is why I created these 15 filters. 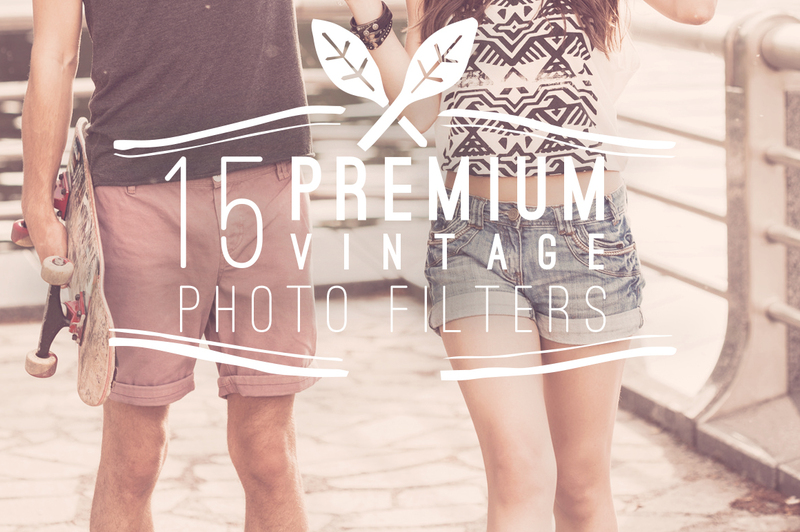 A lot of time went into perfecting these15 actions. 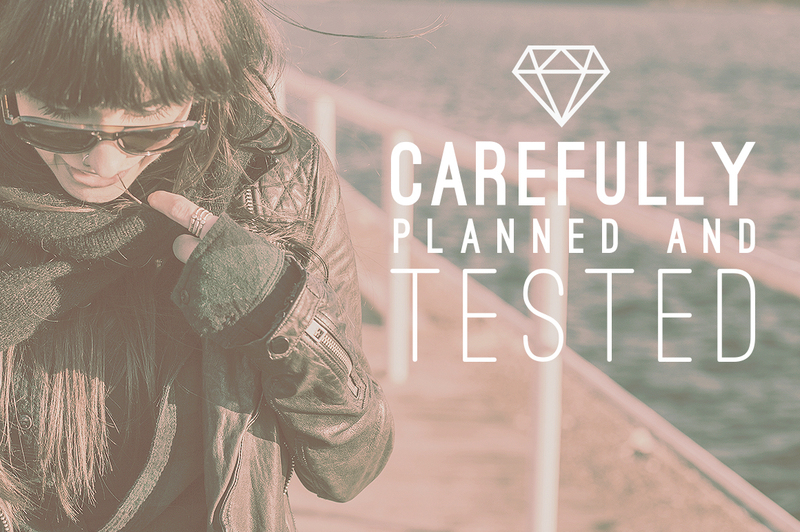 They are full editable if you need to tweak the curves or contrast etc. Normally, these amazing items would cost you more then $460, but for a limited time only, you can get this unique collection for $39! 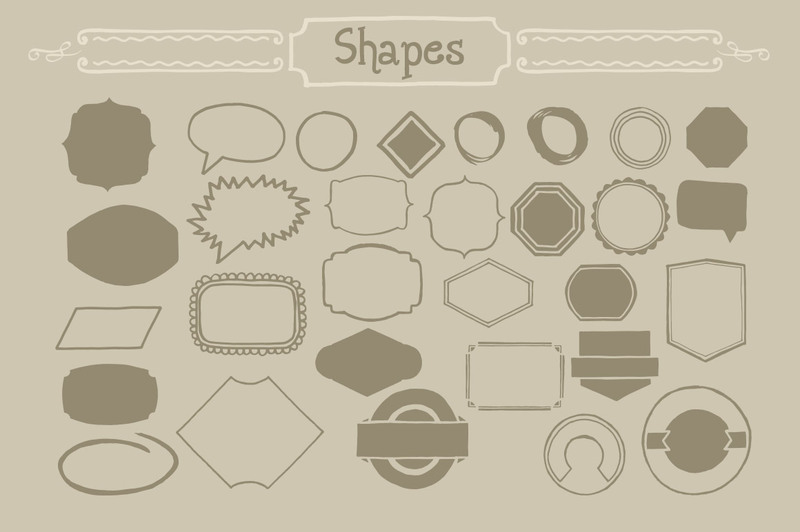 Templates can be used for both personal and commercial puroposes, for yourself or on behalf of a client, on their own, or as part of new work.